Dan was one of many people who let us know that Game Daily recently ran a list of their 25 favorite game endings of all time. 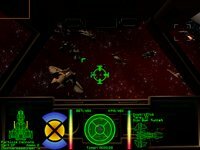 Wing Commander III makes the cut at number 14 and finds itself in the company of Diablo, Fallout and Mass Effect. 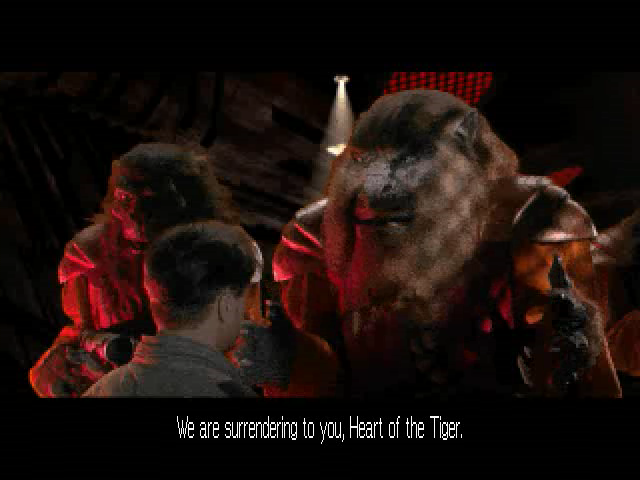 "Many a Terran Confederation veteran shed a tear when Christopher Blair (played in FMV cutscenes by Mark Hamill) finally destroys the Kilrathi's homeworld and breaks the proud warrior race once and for all. It was a rewarding and thrilling end to an incredible gaming saga, even if the Kilrathi Muppets left a little something to be desired." 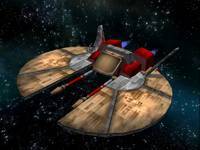 Mission G2 is the second in the G'mar series, the "mop up" after the attack on the station. One interesting point, which explains why the destroyed station is still around in the finished game, is the fact that the target of the previous mission was likely originally only the array component rather than the base itself. Is this why capital ships in Prophecy don't blow up at all? 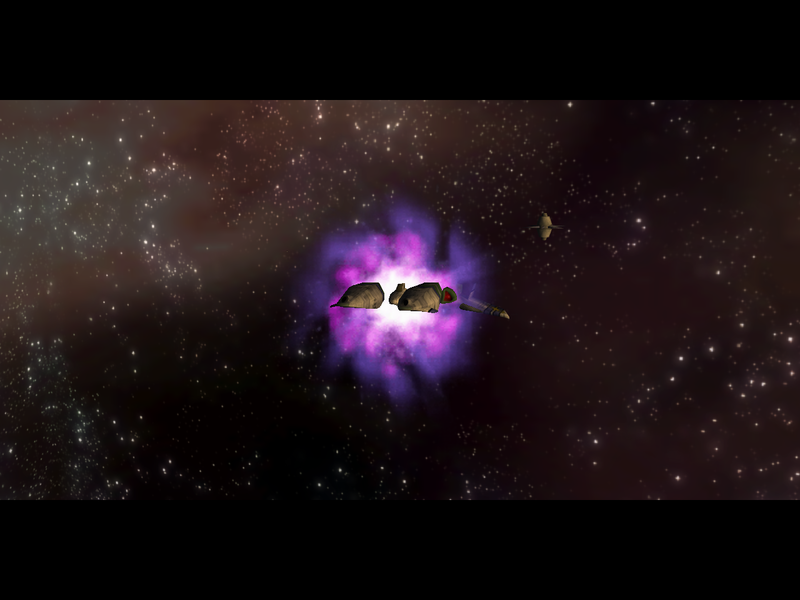 Work on incorporating Kilrathi capships into the Invasion mod continues. 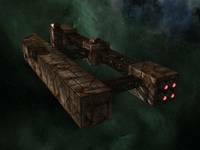 The Hvar'kann class dreadnought design is featured below, and work is in progress on both light and heavy destroyers now. Major Payne is also looking for additional reference material to help build additional designs. Hit the discuss link below if you can help. Hi all. 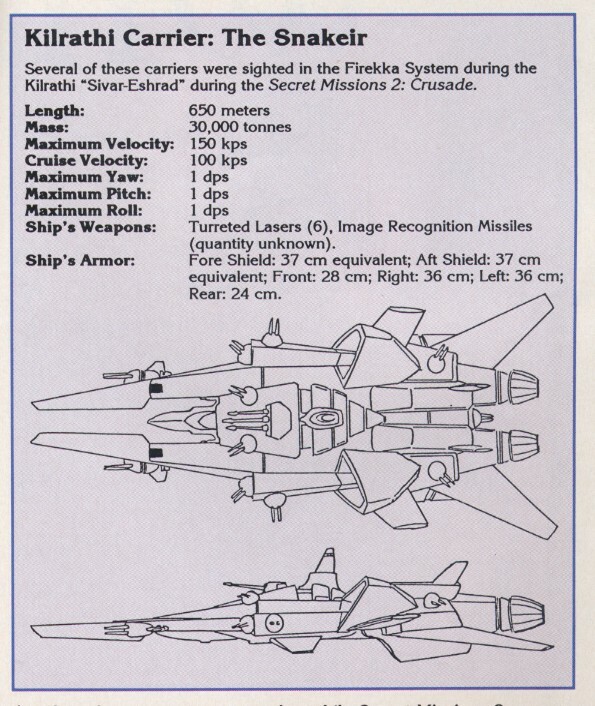 In my search for reference material of Kilrathi ships I'm falling short of them. 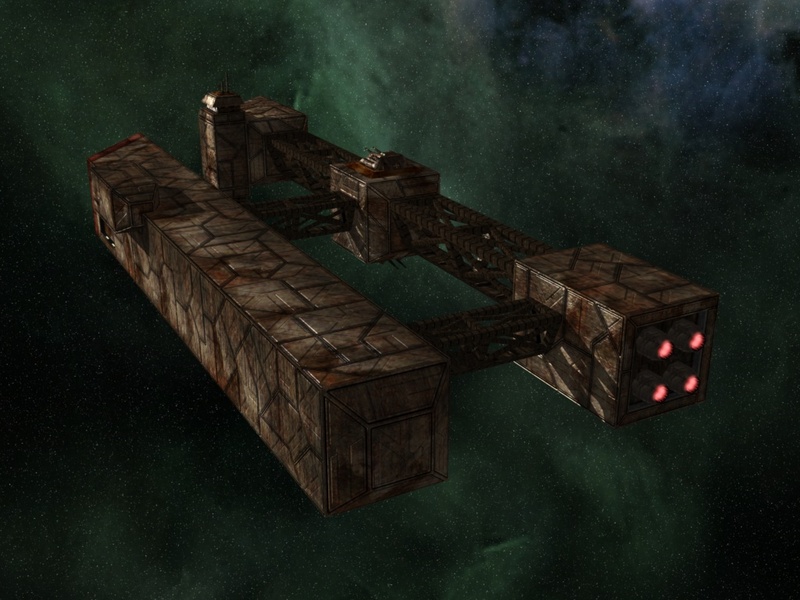 Basically what I'm looking for is ANY images of Kilrathi capital ships which are all looking from the same style as those from the Hha'ifra class Dreadnought. I'm trying to keep the ships all looking similair to each other. 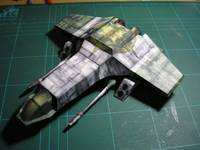 I've got the Fralthi II done and I've got images of the WC3 Heavy Destroyer and the WC3 Light Destroyer but I only have one image of each. 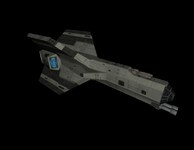 Does anyone know of any other images for these two ships as the more reference images I have the better? Thanks in advance to anyone who can help. 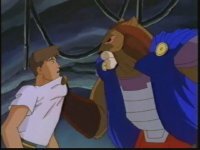 Mission G1 is G'Mar 1 (easy to remember! ), the initial attack on the alien comm station. Most interesting part? "We need to add a background reason to stage an attack here first. 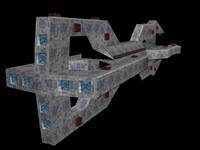 For instance, this base is important because it protects the enemy’s rear while they attack the Kilrathi. Without the comm. array in place, the new aliens will not have the power to alert the main ship base due to the nearby Black Hole/Nebula/Pulsar/etc. 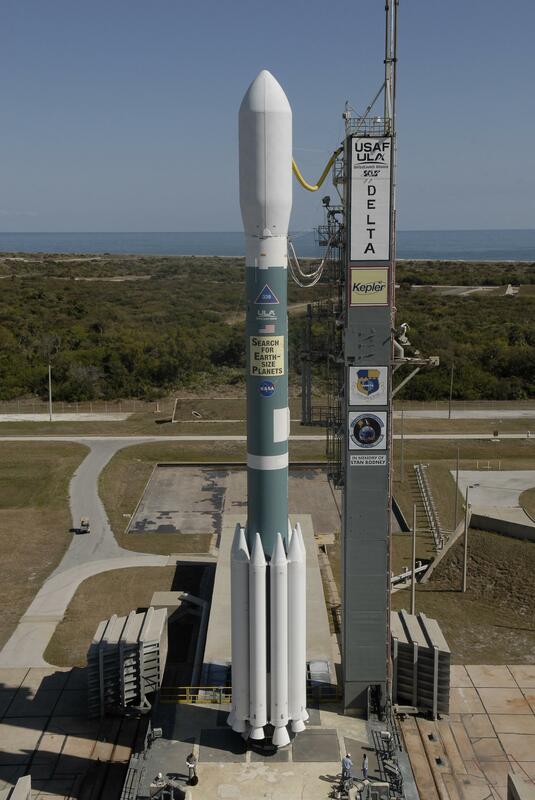 that disrupts normal small ship communications equipment over greater distances." Mission F6b is something of a mystery; it's written here as a 'no win' mission that will destroy the Midway... but there's also a note about how it can not be cut because the player needs this chance to get back on track if he attacked the Kilrathi. 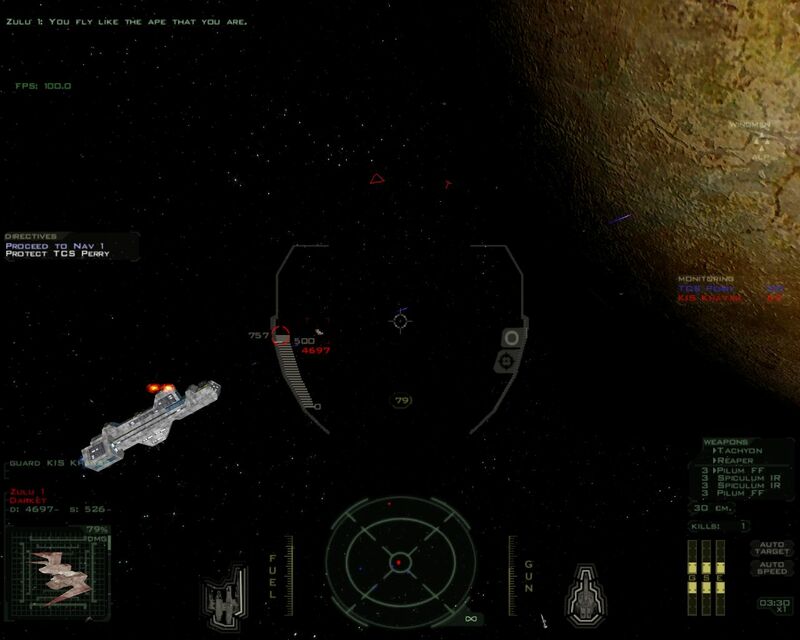 It's a little more sensible in the finished game: you fly this mission and are rescued by the Kilrathi if and only if you attacked them with Hawk; otherwise it does not appear. As the Standoff team steadily works towards mission-coding, they've reached a related milestone. Mission briefings are now complete. There has also been a website update on the Confed ships page. Eder has the complete story. 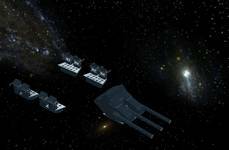 Disappointingly, there are no new fully-completed missions this week, though there is progress being made. However, we did hit a small, but rather symbollic milestone: we've finished Standoff's very last mission briefing ever. Mission briefings generally don't take more than an hour or two to code, but for some reason, they're hated by every single one of our mission coders. So yeah, nice to see the last of them :-). There's no new screenshots this week. 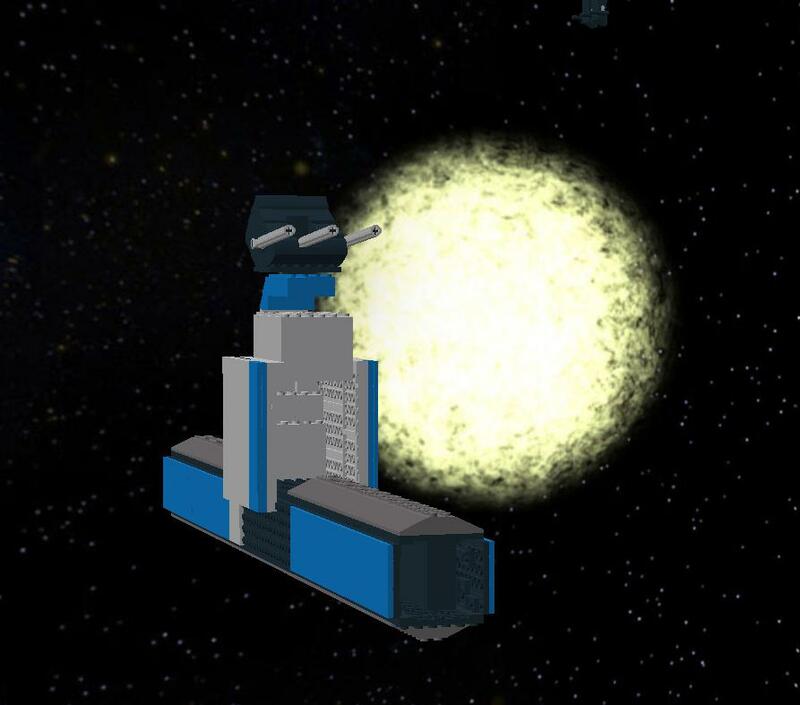 I did, however, add one more ship to the Confed capships page - the Star Base. You've seen it on screenshots a few months ago, and now you can read about it :-). Still no progress with music and voiceovers, but Tempest reports he might be able to get some more voiceovers processed this weekend. Hopefully :-P.
Here are some more awesome pictures of the current shuttle mission. 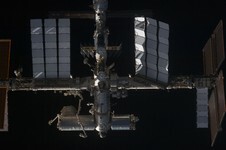 The progress on the International Space Station recently has been very impressive. 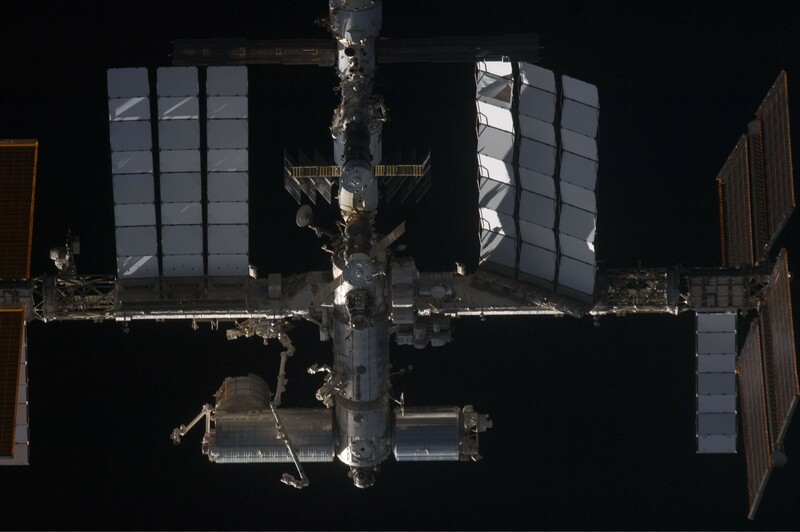 At first I thought the latest ISS shots were some kind of artist's renderings or concept images, but they're real live photographs. Super cool. 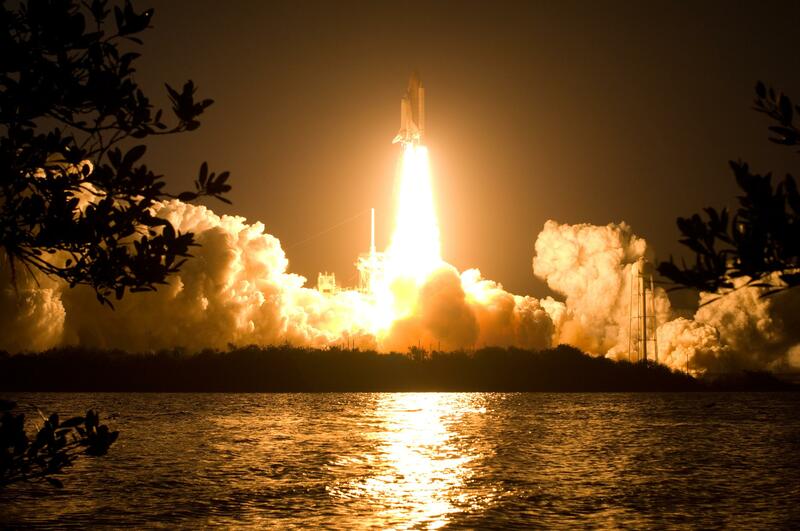 STS-119 has been in space since March 15 and returns to Earth tomorrow afternoon. Billows of smoke and the water near Launch Pad 39A at NASA's Kennedy Space Center in Florida capture the brilliant light of space shuttle Discovery's lift-off on the STS-119 mission. STS-119 Mission Specialist Steve Swanson participates in the mission's second scheduled EVA. 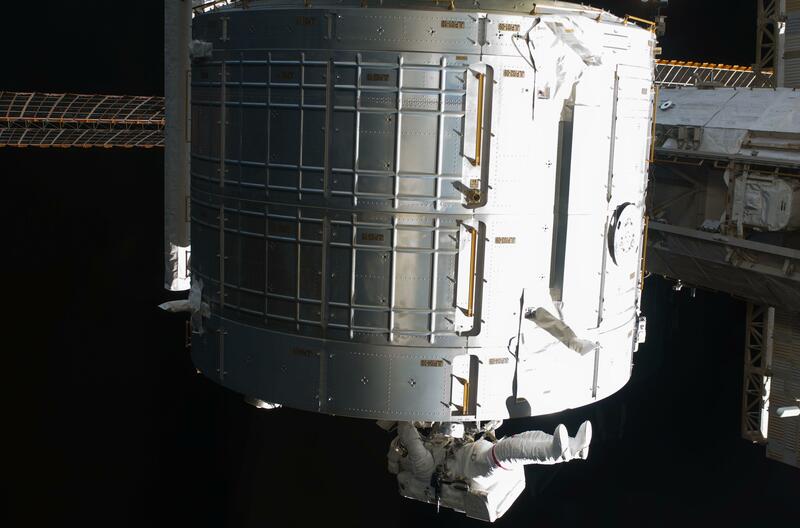 During the six-hour, 30-minute spacewalk Swanson and Mission Specialist Joseph Acaba (out of frame) prepared a work site so the STS-127 spacewalkers can more easily change out the Port 6 truss batteries later this year. On the Japanese Kibo laboratory they installed a second Global Positioning Satellite antenna that will be used for the planned rendezvous of the Japanese HTV cargo ship in September. 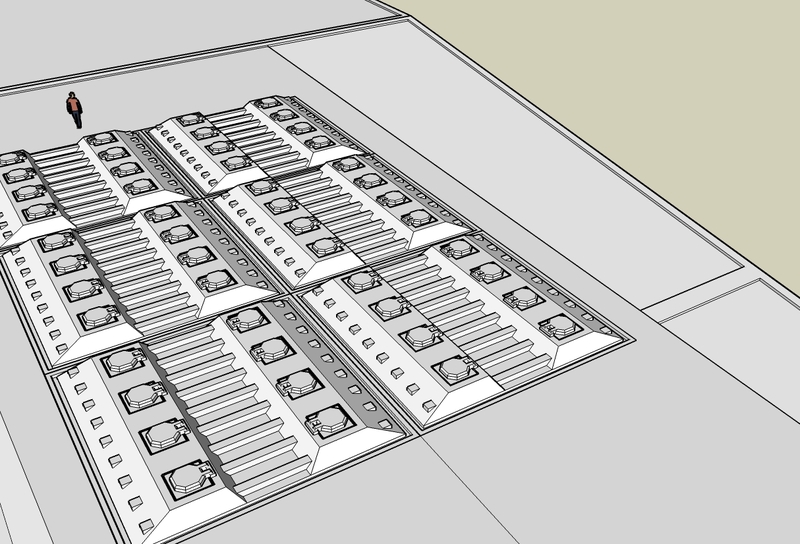 Also they photographed areas of radiator panels extended from the Port 1 and Starboard 1 trusses and reconfigured connectors at a patch panel on the Zenith 1 truss that power Control Moment Gyroscopes. The International Space Station is featured in this image photographed by a STS-119 crewmember as Space Shuttle Discovery and the station approach each other during rendezvous and docking activities on flight day three. 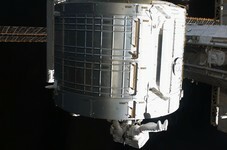 Docking occurred at 5:20 p.m. EDT on March 17, 2009, as the two spacecraft flew over Western Australia. Mission F5 is the Marine LC landing on the Kilrathi space station. One of the mission notes is interesting to me - I don't remember anything this specific making it into the finished game: "6. There is a small band (2-3) of medium or heavy alien fighters waiting between the alien-held Kilrathi starbase and the Midway to ambush the Marine LC shuttle (they know the prisoner is on board). This will be considerably difficult to complete. 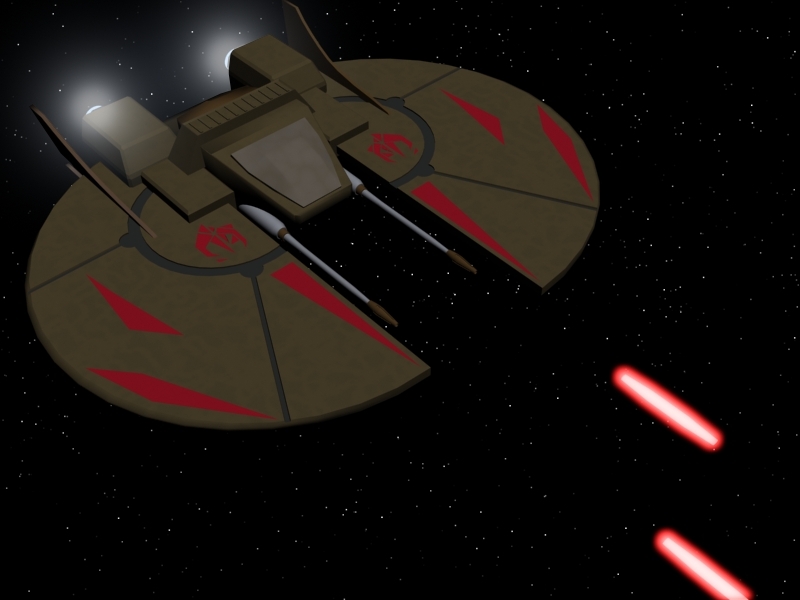 The player will hopefully be able to maneuver between the attackers and the shuttle, blowing one or two away with missiles immediately." 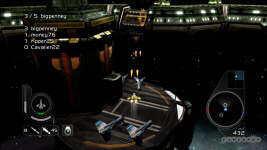 Strategy Informer has published a refreshing article on vide game-based movies. Rather than the usual cliche bloggle, they've taken a positive spin and looked at five video game movies that did something right. Wing Commander shares the spotlight with Tomb Raider, Final Fantasy, Silent Hill and Mortal Kombat. I'm not sold on all their picks & points, but this is a nice change of pace. The fact that Wing Commander starred Freddie Prinze Jr. as Christopher Blair notwithstanding Wing Commander isn't a poor flick if all you want is some nice space action tied together by a plot that miraculously makes a semblance of sense. 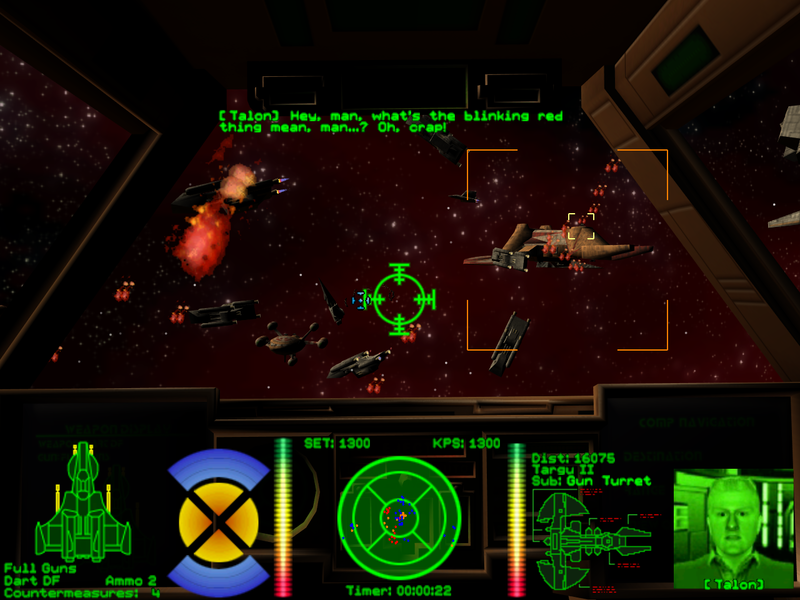 The game follows the exploits of rookie pilot Blair as he and the crew of the TCS Tiger's Claw try to relay information about an impending attack by the catlike Kilrathi that could save Earth from complete destruction. It predates Firefly and Battlestar Galactica so you'll see a lot of the space ships flying like they're in atmosphere. As well a lot of the film is pure fluff, but really that isn't much of a complaint when you think about it. Most mainstream film is fluff, and Wing Commander smartly doesn't try to be more than it is, a cheap, but fun series of thrills centered around some nice action sequences that never slip into the sort of pure ridiculousness that often dominates action films today. If you fail Mission F3 then you go to Mission F4b instead of F4 (confused? 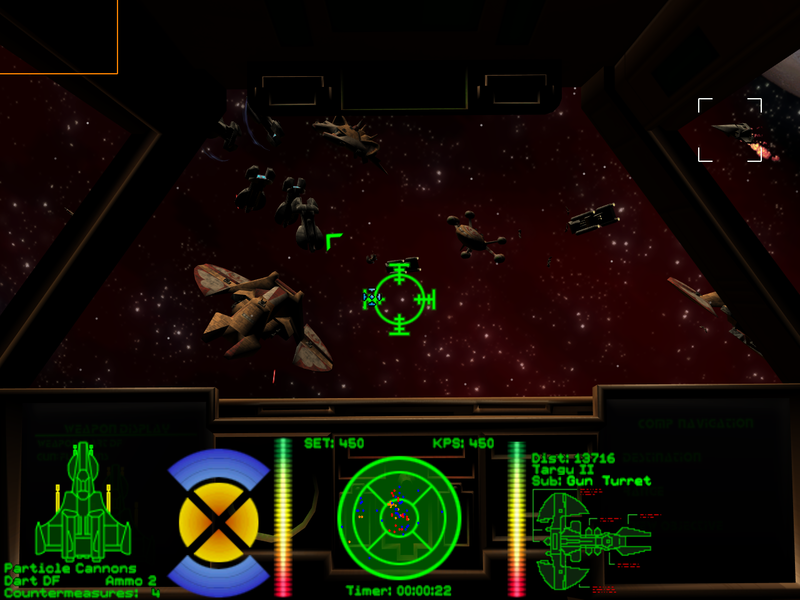 ), a patrol which becomes a Midway defense mission. The interesting thing you can barely see reflected here is that the path was originally that you would fly F4b if you failed F4 -- an extra mission instead of an alternate. NNM has gone back to his classic Dralthi model and given it a new paint scheme. 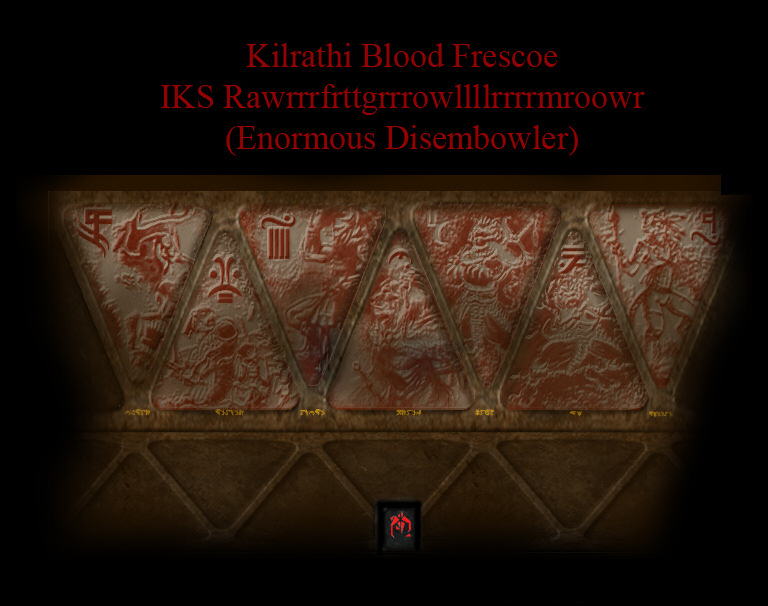 The Kilrathi durasteel has been accented with assertive new clan markings and red symbols. Its laser system is also once again on display. 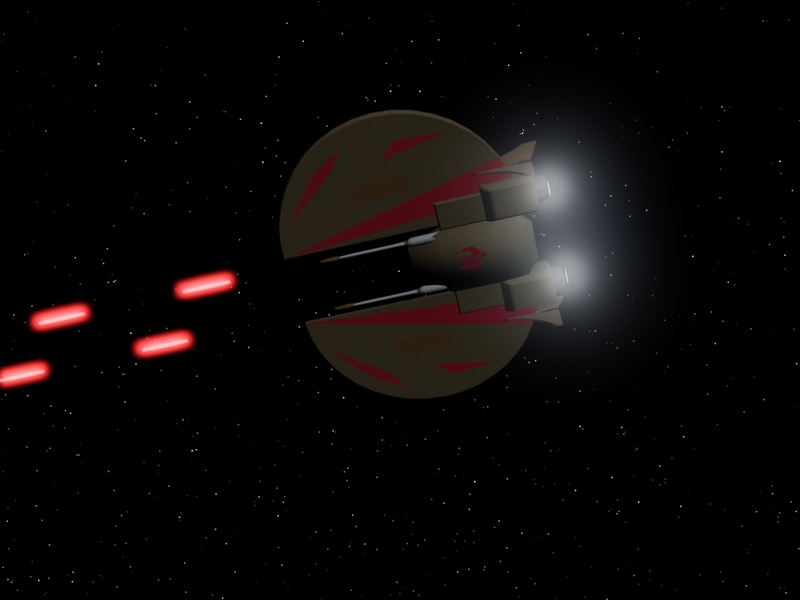 You can't see them in the thumbnails, but there is also a nice space background behind the ships to round out the scene. Let NNM know what you think at Crius.net. 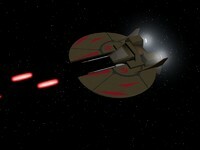 F4 is the attack on the Dula VII starbase which ultimately rescues Blair. Two things worthy of note from this document. One is from the additional comments section. A designed noted "This mission will have a timer, which will be a good opportunity for sweaty palms and children telling each other how long it took them to destroy x number of fighters."... to which someone correctly replied "??what??" in highlighted yellow text. Two - "Thanks for helping me out. I thought I was going to die there for a minute." might be the worst line of dialogue ever written. 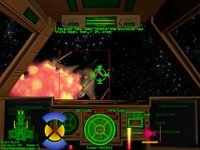 Major Payne has posted an interesting update on the status of the Wing Commander Invasion mod. 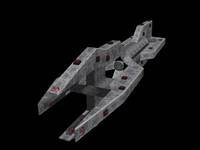 The Fralthi II cruiser has been added to the game and sharp new pictures are included here. 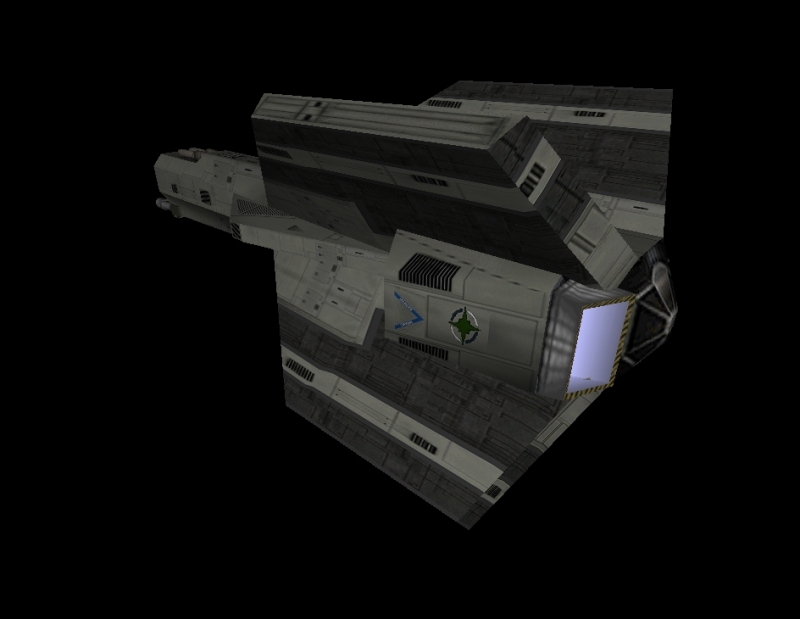 Starbase and ship creation dynamics have also been adjusted a bit with a 'jump buoy' concept. Advanced ships will jump into the area as they are "built." Check out the full update below. Progress has been relatively slow with only three Kilrathi capital ships ready for game conversion. 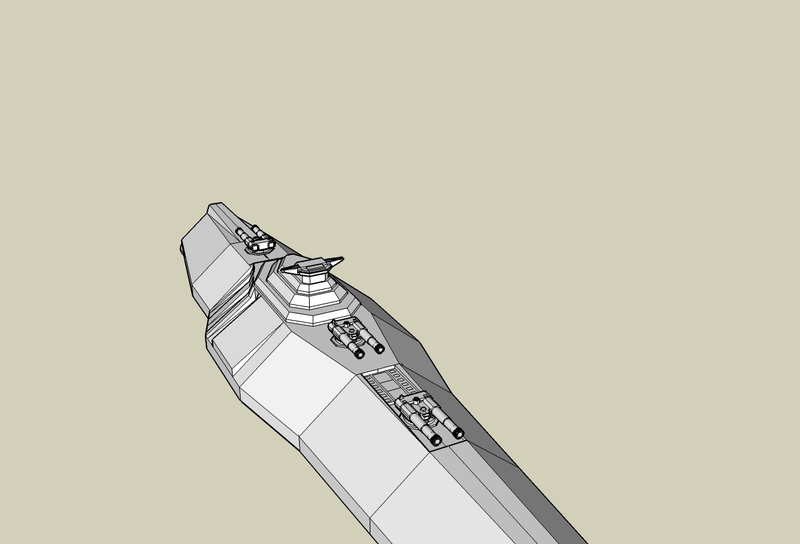 I've also gotten my mitts on a shed load of extra models, so its a possibility that the Nephillim might not be included but the Border Worlds will instead (I'm not sure if I like the idea of including ships which technically "might" have animations needed for them). Hopefully though, I'll be able to get the necessary capitals done by the end of this week (crosses fingers for this), and I've got an idea for something which might prove useful. The general idea is that IIRC WC uses a jump point idea. 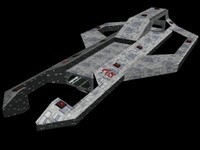 Well in EaW/FoC amongst the capturable structures is a space dock of sorts. 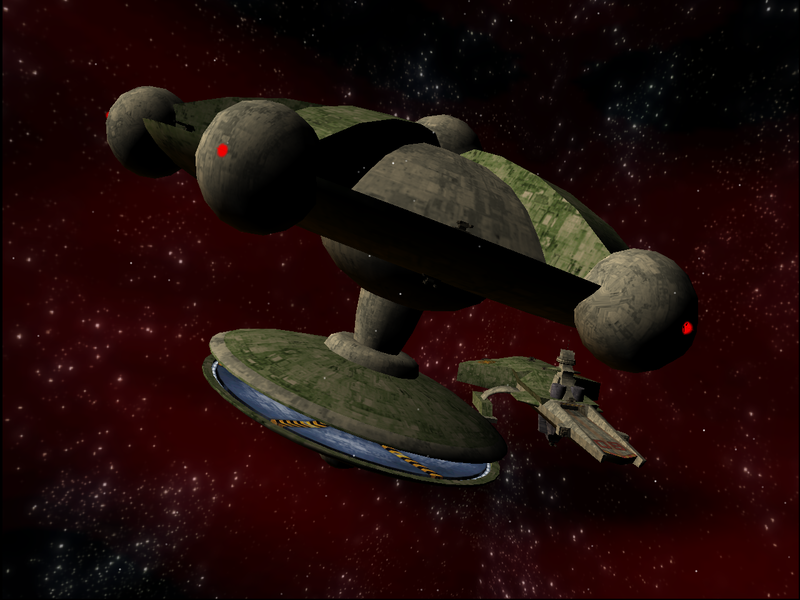 I plan to replace the model with a Jump Buoy which the player will be able to "jump" into the game advanced ship classes and thankfully it's possible to give each side a unique selection of ships which can be added in this way. 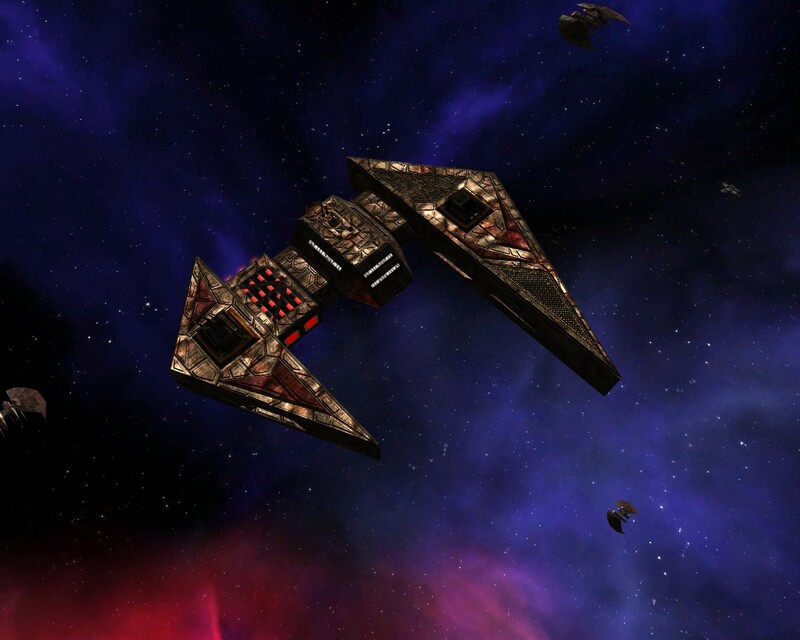 That will mean that the Confederation will be further upgraded than it already is with perhaps 6 or 7 additional capital ships and prototype fighter classes. This should give a bit of a tactical change for the standard playing game. There are a few other map specific structures which I'll see about capitalising upon, but this is undecided as to what function they will provide at the moment. I've also placed on display images of the Fralthi II and for the purposes of the mod, there is going to be two versions. 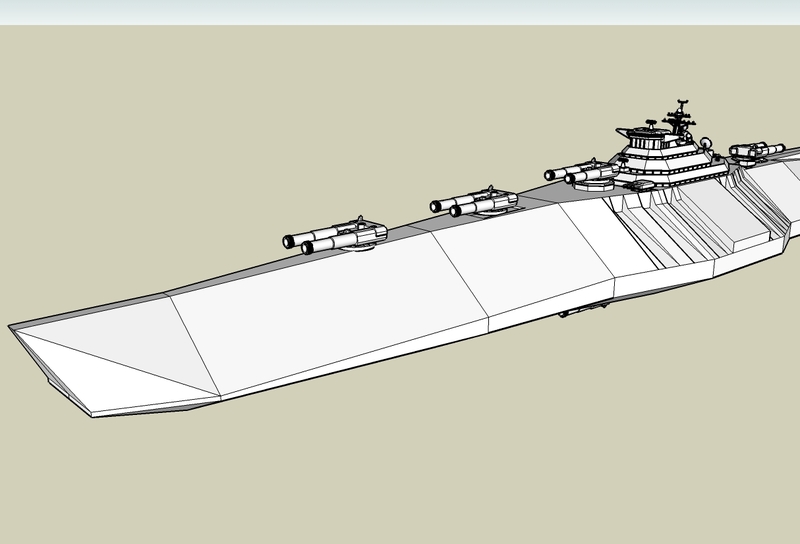 One will be more of a carrier and therefore have fighter support but not be as well armed or shielded and the other will be a dedicated armed cruiser, having no fighter support but be heavily armed and shielded (truth be told I did mess up the original specs with the image/model I was originally using so decided to go with two versions). Further update to come as soon as possible. 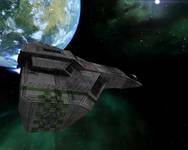 Mission F3 is the attack on the Nephilim communications base, which then allows the Midway to recapture Dula VII. These mission notes include an interesting cut concept, that alien patrols in the area will be 'timed'; navigate correctly and you'll face fewer bad guys. As the notes indicate, though, that's an awfully hard concept to get across to the player in a mission -- so it was ultimately cut. 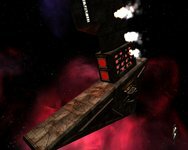 The Wing Commander Saga team has started a push to wrap up its capital ships as it makes progress towards an 'alpha' build. They've released shots of the Sha’kar transport from Wing Commander 3, featuring their most updated Kilrathi textures. 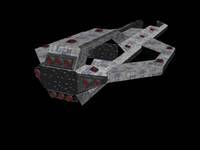 With its cheap and modular design, the Sha’kar-class transport can be configured to carry anything important to the Kilrathi war machine, including armaments, fuel, general supplies and personnel. 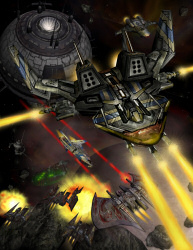 Slow, under-armed, under-armored and susceptible to attack by even the lightest Terran fighter, these cannon fodder transports rely on fighters or other capships for protection. March is winding down, so now's a good time to chew through some bandwidth. CIC Holovids is a great place to start. Tons of videos from prerelease trailers to deleted scenes to full game cinematics are available. One particularly neat area contains movies from Privateer 2. It includes most of the main plot videos (two notable exceptions are the intro and first Joe scene) and side plot cinematics in higher quality encodings. Our Holovid movie section also archives fan music videos, but so far there has only been one made for P2. Maybe this improved source material will help a few talented fans put something together! 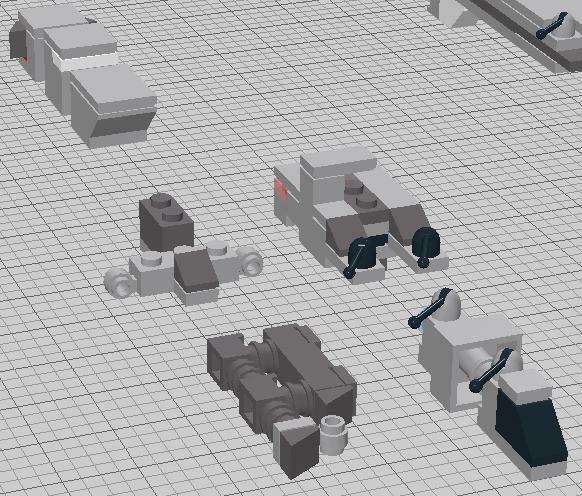 The Standoff team continues to make progress in designing its final missions. The winning story arc is somewhat predictable for fans who've read Fleet Action, but the losing arc is a little more dynamic. 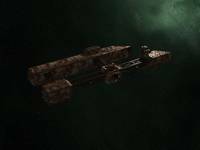 Eder has posted more details below along with three new accompanying screenshots. Excellent. A mission a week, that's good progress. Quarto reports that the mission he started last week is now completely finished, and he's moved onto the next. We really may finally get there :-). 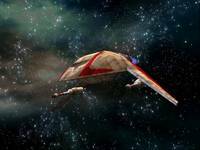 F2 is the SWACS scan of Dula VII, a necessary plot mission -- but not overly exciting. Most interesting here is probably the fact that Hawk dies off-screen if you didn't choose to attack the Kilrathi -- which is a little odd, considering that the moral point should be that you don't slaughter cats rather than that you're rewarded with a more complex plot if you do. There is no WCPedia IRC meeting on Sunday, but that doesn't mean no progress has been made this past week. Sylvester got a lot of work done on the Vesuvius-Class and Midway-Class articles, while Dundradal focused primarily on WC1 mission entries. This week has been really busy on the site. Hell today has been real busy the entire Recent Changes page is entirely filled up with stuff from this morning. I'm going to start working on Port Hedland later today. I can almost see the end of the WC1 missions. However we still need to figure out what to do with certain sections of the Ultimate Strategy Guide text. 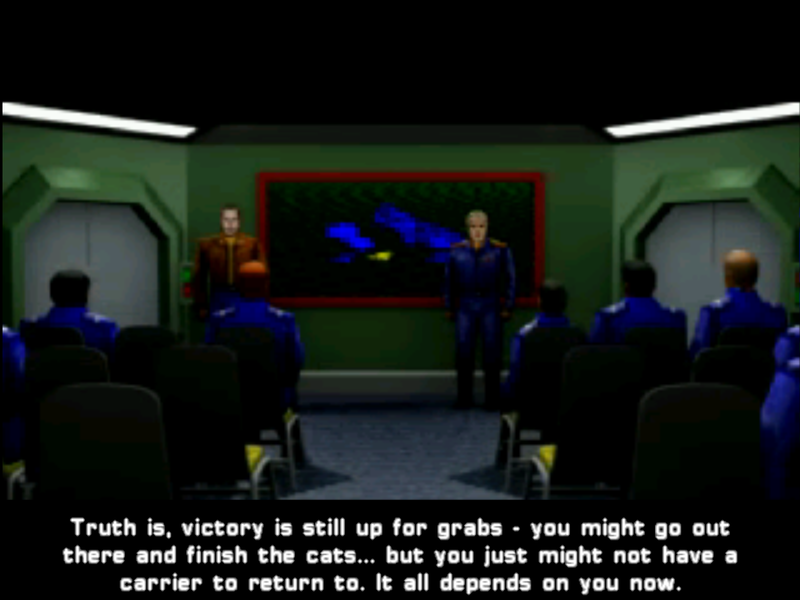 LaFong's time at the Academy, pre-WC1 stuff, and the Between Missions sections that occur during the mission texts. I'm trying to figure out a way to incorporate them so they are easy to find, but also make it clear that they sort of outside those areas as well. I might just create articles like "Between Missions - Post McAuliffe" etc and include links in the mission articles while sticking the Between mission article itself in the WC1 mission category. 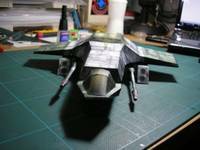 F1 is the first mission in the second T'lan Meth series. Why is T'lan Meth so big? Because you keep feeding it! 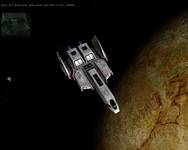 No, there's clearly a tone shift here even though the systems don't change: now instead of pursing an alien fleet we're dealing with Hawk's inner demons in what is probably one of Wing Commander Prophecy's finest examples of gameplay benefiting the mission tree instead of dialogue choices. Electronic Arts has significantly bolstered their XBox Live Marketplace presence with the recent release of NHL 3 on 3 and EA Hasbro Family Game Night. The latter is a new 'channel' that includes Scrabble, Connect 4, Battleship, Yahtzee and other classic games available for separate purchase. 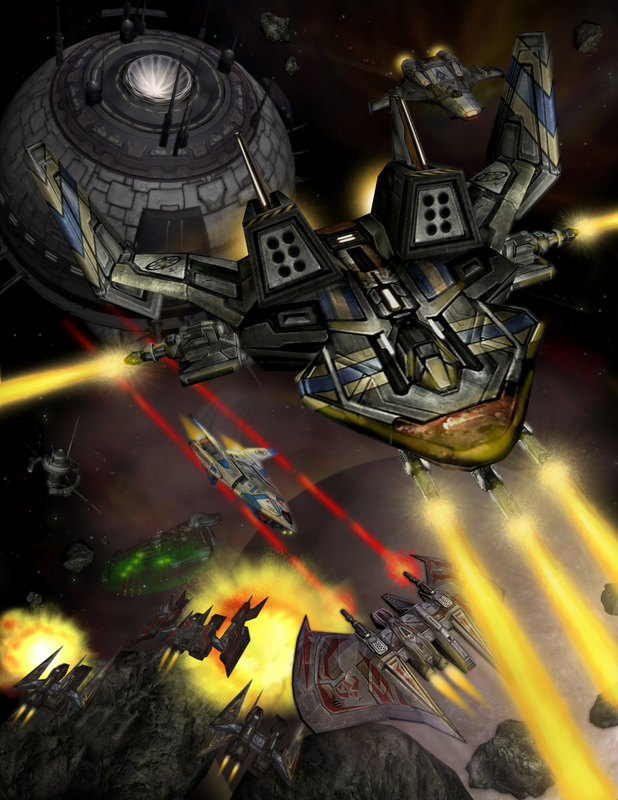 EA's previous Live Arcade releases were limited to Boom Boom Rocket and Wing Commander Arena. This is potentially good news for WC fans as more EA Arcade titles improve the chances of getting a physical retail release of Arena similar to XBox Live Arcade Unplugged. Check out more details on the Hasbro game release here. The HASBRO FAMILY GAME NIGHT lineup takes full advantage of the special features offered via the Xbox LIVE Arcade community. Players can show off their skills, increase Gamerscores, utilize voice chat and earn Achievements as they compete for a top spot on the Xbox LIVE Arcade leader boards. The games also offer avatar support so players can incorporate their own Xbox persona into any of the games available on the HASBRO FAMILY GAME NIGHT destination. Yes, you could use an external program such as Xpadder or Pinnacle Game Profiler. They're very useful (though not perfect) for Wing Commander games you're not emulating, but for the DOS titles it might be better to use DOSBox's built-in mapper. First of all, you need to make sure that buttonwrap is set to "false" in dosbox.conf (or your frontend, if your using one). Start the game and press CTRL + F1 to bring up the mapper. 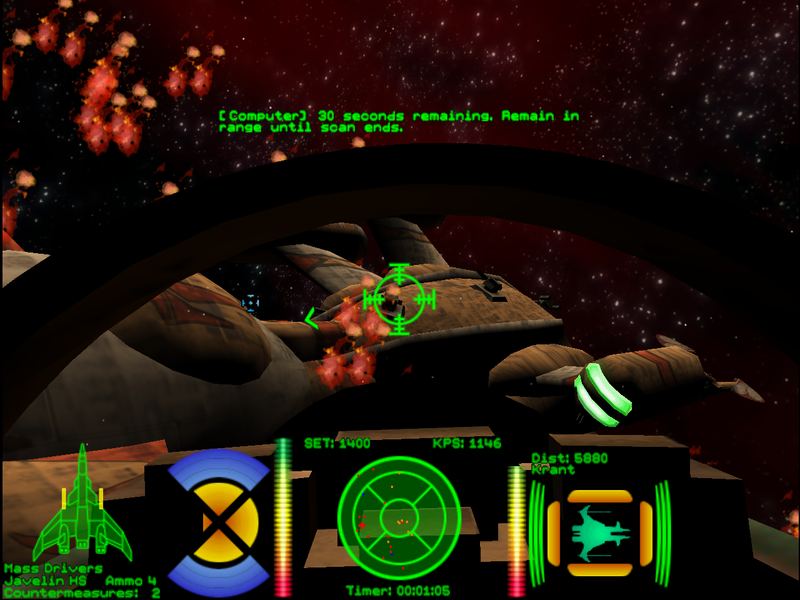 Tab is the keyboard command for afterburners in pretty much every Wing Commander game, so click on "Tab" on the on-screen keyboard, click "Add," then press the button on your controller you want to assign it to. 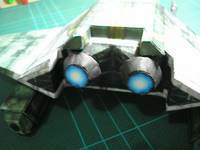 That button will now trigger your afterburners. In this way you can assign the keyboard commands (check the manual or the CIC's controls page) for all the functions to the buttons of your choosing. When you're done, click "Save" to save the mapper file you've just set up, then click "Exit." You may also want to click on "1" and "2" on the on-screen joystick layout in the upper-right corner and change those emulated buttons to different actual buttons. For example, DOSBox might assign button 1 (fire guns) to the triangle button on your controller, but you want button 1 to be the square button instead. In this case you would click on button 1 on-screen, click "Del" to delete its current mapping, then click "Add" and press the button you want to assign it to. Or you could just delete button 1 or 2 and not assign them to anything. If you don't like Wing Commander's system of pressing both buttons to fire a missile, you could delete button 2 and assign the Enter key (which also fires missiles) to a button. 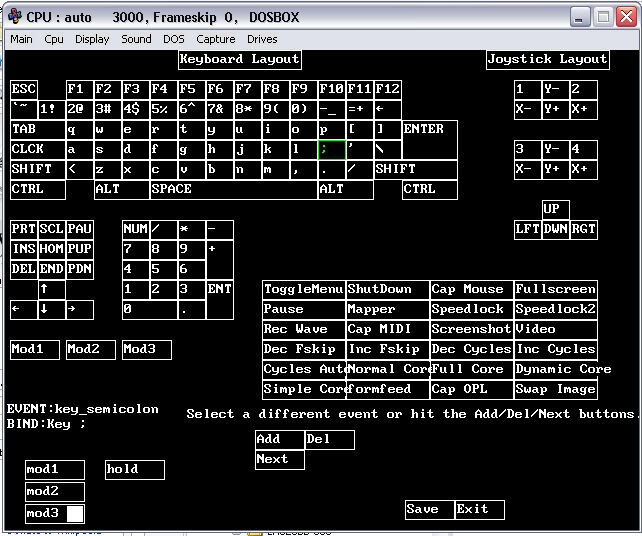 DOSBox is up to version 0.72. We have detailed walkthroughs for all DOS titles in our Tech Support section. 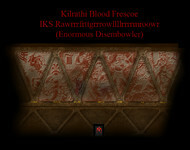 Klavs has a ghastly new texture to share. 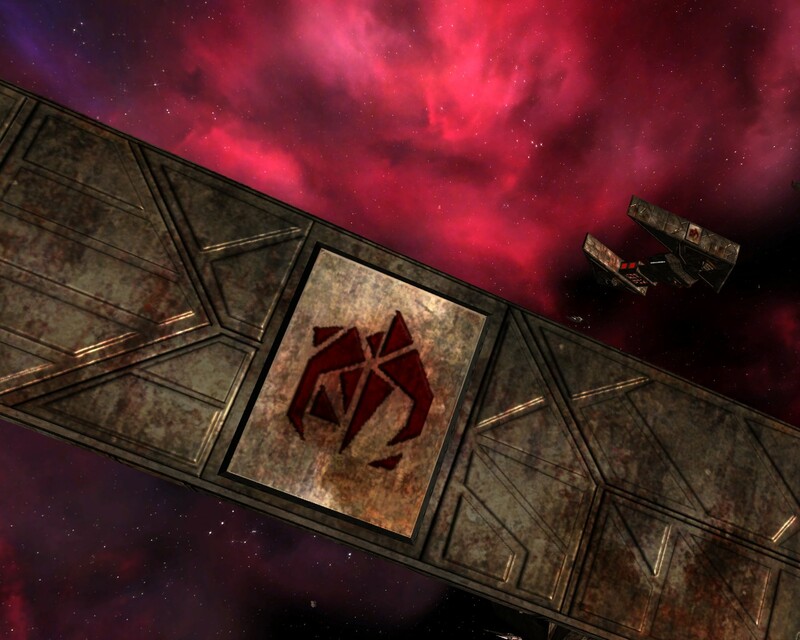 He's paneled the interior of his impressive Hvar'kann class dreadnought model with "blood frescoes." These were made with a variety of pictures collected over time, so he's not sure where all the credit is due. 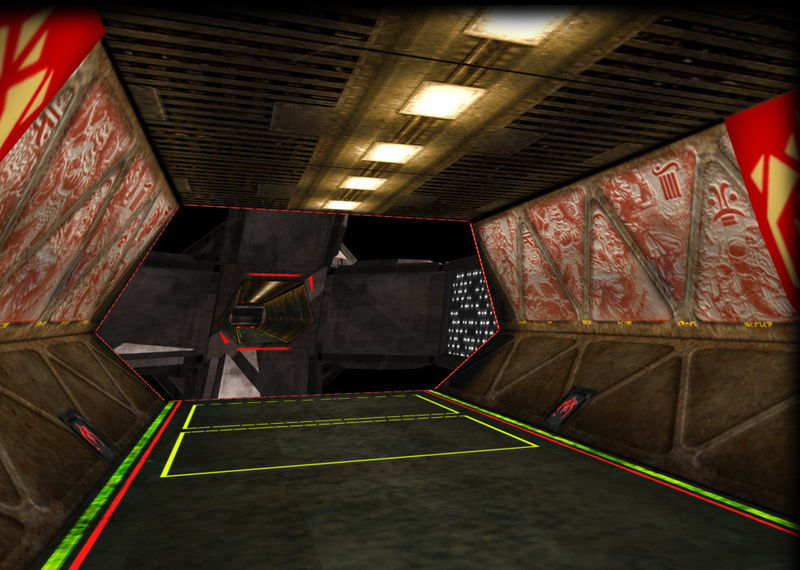 If some of this grim art looks familiar to you, head over to Crius.net and let Klavs know. But it's a neat effect, I think, something the royalty of a pack of giant hunters would do, painting the walls with his enemies' blood. Please speak up if you recognize somebody's work, as I want to make sure credit is given, if anyone recognizes anything. NinjaLA, you especially, I think I used some of your stuff, speak up if you see any of your stuff, and let me know if it's all right if I release the mesh with credit for your work. Panel 1 (Far Left) is definitely from Man Kzin wars, but for the rest, I have no idea. E4a and b are a good example of the game diverging -- if you're playing poorly then you're stuck on an ordinary patrol... if you're doing well then you get to meet up with Kilrathi ships and blast an alien fleet! 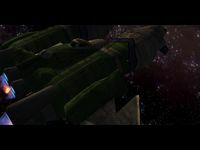 callitri has now turned attention to areas of his Concordia supercruiser that were harder to see in the Wing Commander Movie or aren't particularly defined in the Confed Handbook. 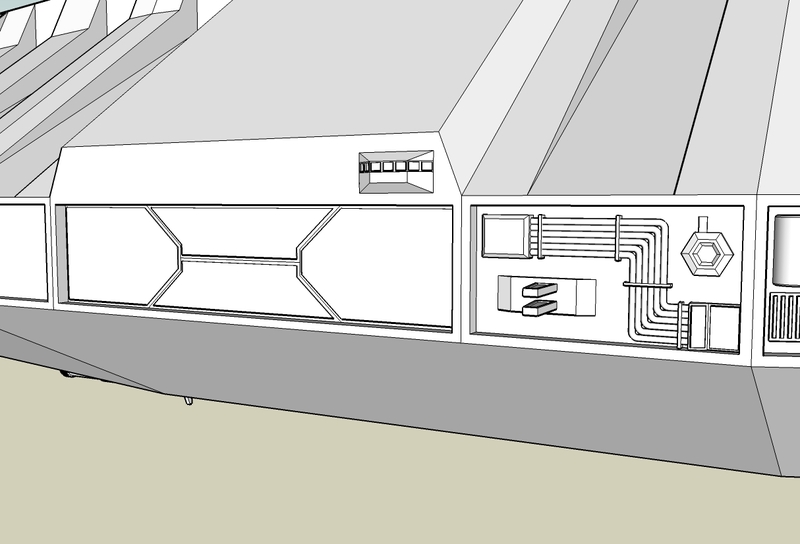 Some special panels and hull plating have been added, and various equipment was installed along the lateral edges. 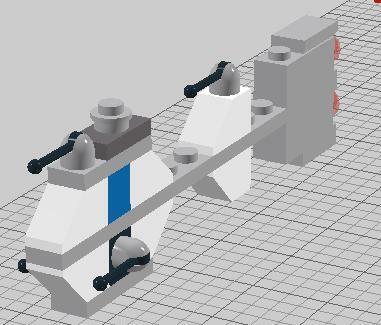 At this point the model itself is coming together, so that might be as far as he can take it. If anyone is up to texturing the ship, head over to Crius.net and let callitri know. E3a is the 'winning' variant of the first T'lan Meth patrol. If you saved Maniac's wingman then you get to see one of the game's special oddities: the SWACs recon ship. 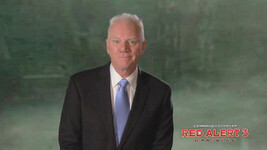 Eder has updated the Standoff website with the March 13 progress report. 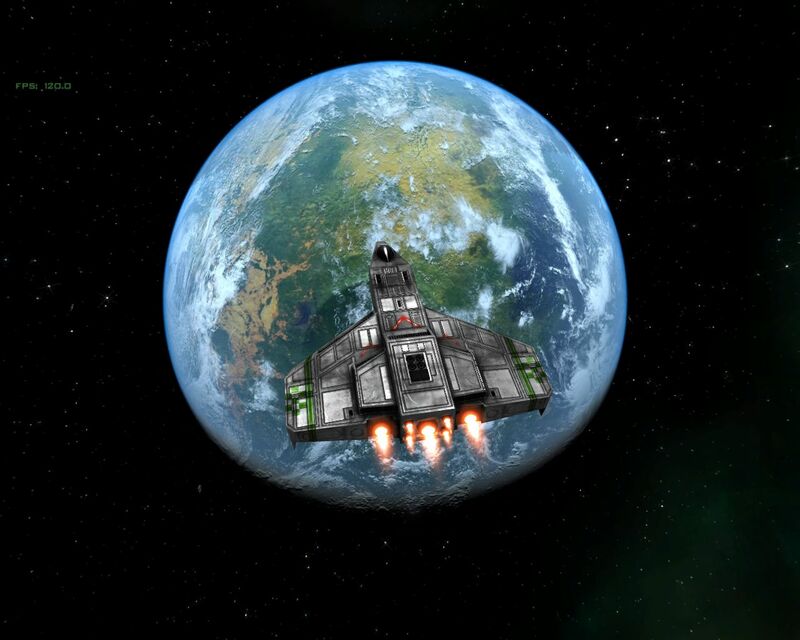 Mission coding is well under way and most of the Episode 5 missions are now in various stages of completion. 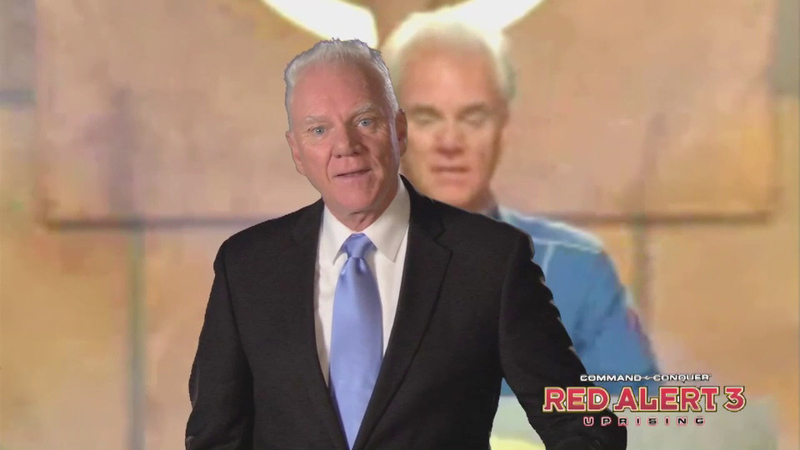 The team has committed to delivering the fifth and final episode before the end of the year. We have had some very good mission progress this week. I like that a lot. So, after... what, how long has it been, four months? Anyway, Quarto has finally completed the mission he started last year. And he's started another one this week... and says it's nearly finished already! So, one mission takes four months, while another is expected to take little more than a week: what gives? :-P Well, for our mission coders, it's mainly a question of how much time they can spare at a given point. There have been peak periods where we'd receive a mission every three or four days... and then there are cases where a mission takes four months or more. Not because it's really so work-intensive (Quarto estimates it actually only takes about ten hours total to code most missions), but simply because the person working on it suddenly finds himself unable to devote more than a few minutes once every few days for a while. Anyway, although there are still five missions left to finish (not to mention various bugs to fix in most of the already-completed ones), only two of those are still completely untouched - one each for the winning and losing paths. So, this would be a good time to set missions to green on the progress board :-). 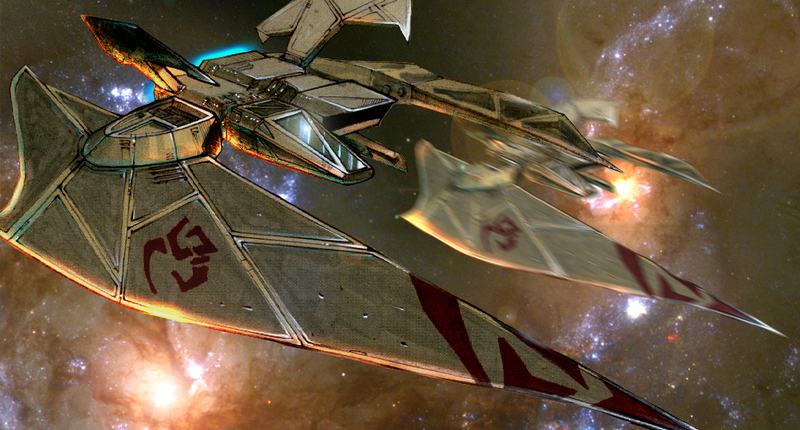 E2 is the T'lan Meth wingman rescue, where Casey flies off to save Maniac's former wingman. I'd like to stress one thing here, a simple quote: "[Please move the ACE to E4. bjc]" That sums up the amount of thought that goes into these things - that it's important to move a single enemy encounter to a different mission. Time to meet up again and get our WC historian juices flowing. We are still working on WC1 mission entries and but have quite a bit done in the ones that are already created. I'm devoting the next few days to filling in WC1 script data and then working on creating the remaining articles and filling in USG text. Everyone who is interested in helping should attend. I can't do this project entirely on my own so I'm appealing for help. 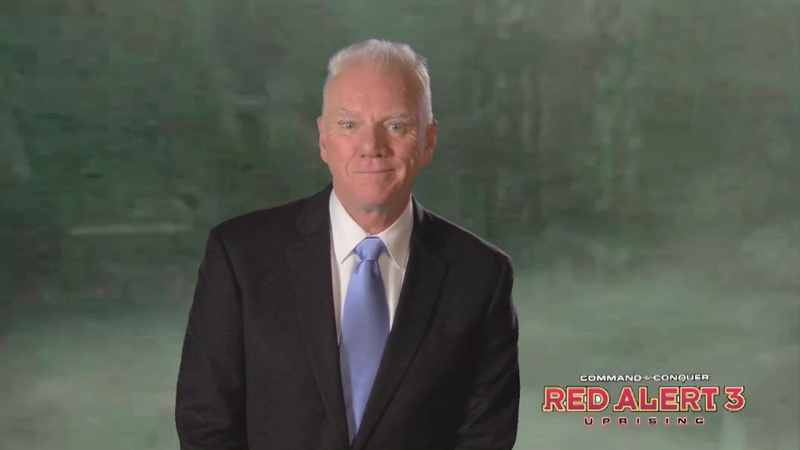 Log onto #wingnut and learn a thing or two. Series E is the first half of the T'lan Meth missions... and it begins with a historically confusing mission: the hunt for the alien drone. I'll be honest: I still don't know how to find the drone and I still don't know if the drone I find in this missino is the comm relay device seen in later cutscenes or not. One of the larger items we host is the complete Wing Commander Academy television series. All thirteen episodes come in at just under three gigabytes. No matter how often we mention it, there's always tons of fans who are just learning about it for the first time. In addition to the main divx files, a variety of neat behind-the-scenes and production material is also available. The series is full of amazing stuff that every fan should see. Get started below! We've having some technical issues with some of the mission documents, so we're going to have to skip part of the game -- we'll catch back up later. 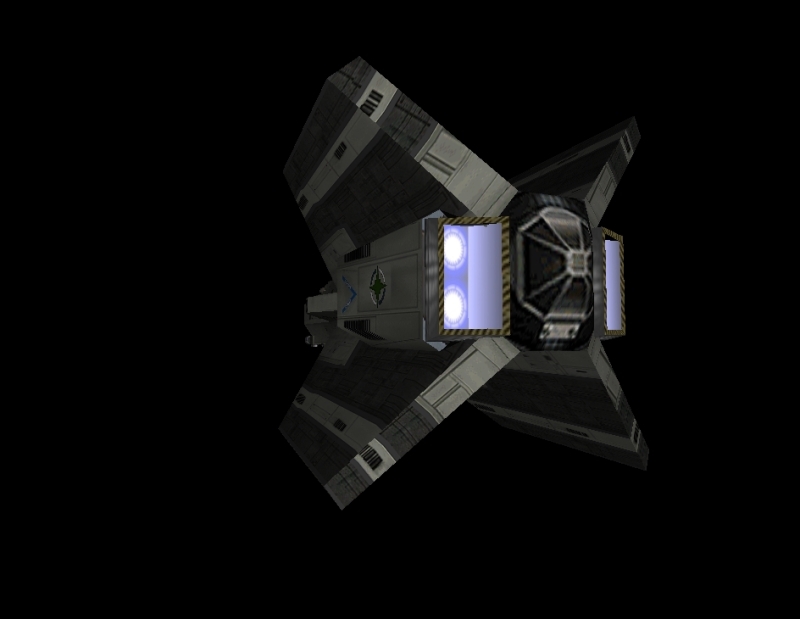 Meanwhile, here's the entry for Mission D2: the second half of the 'lose Blair' comm relay visit mission. Interesting cut: "The relay station is now in solar system that contains a pulsar. 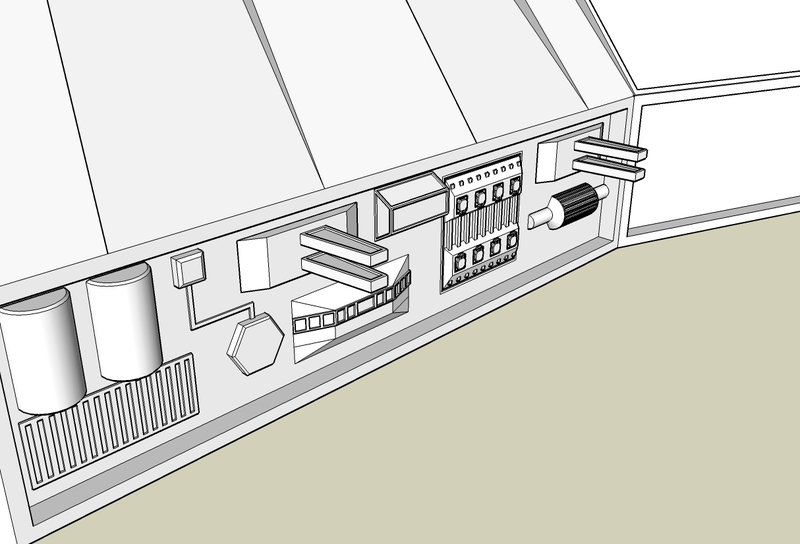 This should affect the player in a couple of ways, strobe lighting effects ranging from almost no light to blinding light, and communications break up at the peak of every strobe." The movie is ten years old. That’s a startling fact. 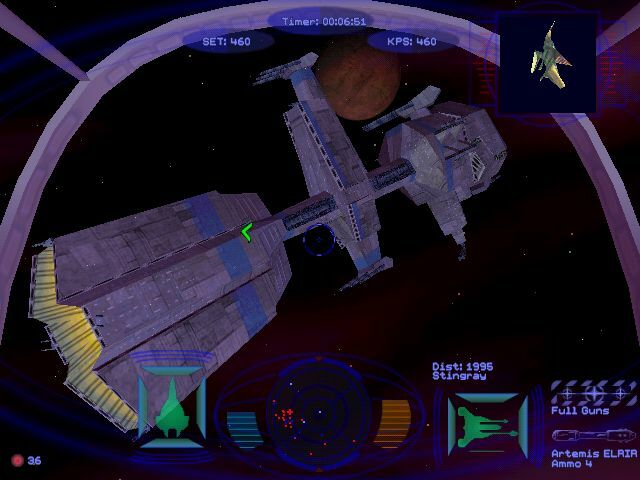 When the movie came out I was a senior in high school, the world was ahead of me and I was off on one of my first great Wing Commander adventures. In shaking hands with Chris Roberts, debating continuity with Chris McCubbin and seeing the movie again and again with Chris Reid, Wing Commander went from being my favorite world to simply being my world. Previous anniversaries have been academic, this one is personal. I will always remember it as a supremely exciting time. 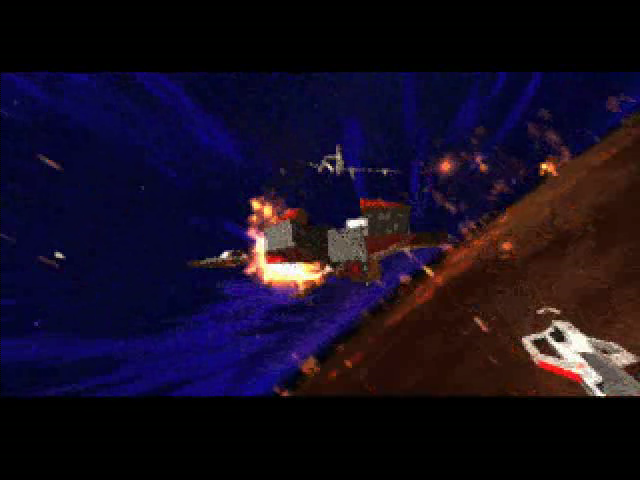 It is hard to understand today how deeply ingrained the desire for a movie was in Wing Commander fans in the 1990s. It was in our DNA: the earliest fans were demanding their movie at bulletin boards and newsgroups mere days after the original game changed the world in 1990. To say we were excited would be an understatement. I am not going to argue for the movie here; lord knows I have done this many times over the years. I am not going to debate continuity or explain the workings of the original cut or the reasons for changes or any of those things. Ask me tomorrow for all that and I will, as always, gladly oblige. Instead, I want to clear up a single point tonight. 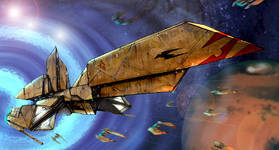 We hear about Wing Commander again, from time to time, when some studio pushes out another ‘video game movie’. Our film gets stuck in an oft-repeated list of bad adaptations, alongside Street Fighter and Mortal Kombat and DooM and the Mario Brothers. Another point on a ceaseless line of paint-by-numbers cash-ins, we’re told. No! We must recognize, regardless of anything else, that Wing Commander does not belong on these lists. Yes, it is based on a video game and perhaps you were disappointed with it… but the similarities end there, and the difference is absolutely essential to recognize. All these others were, indeed, cash-grabs: game companies turning a fast profit by selling their name recognition to a movie studio. 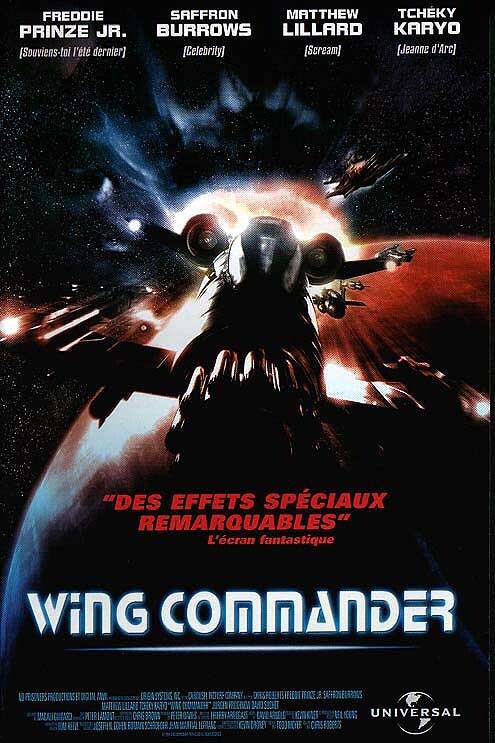 Wing Commander was not: Chris Roberts put his career on the line in order to make the movie himself. It was something he believed in, and it deserves our respect for that reason alone. 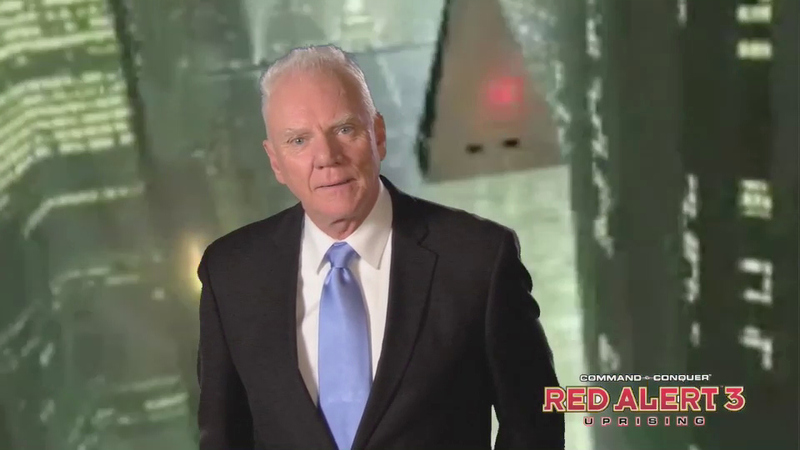 Mr. Roberts fought, for years, to turn Wing Commander into a major motion picture and to make sure that he was involved instead of just handing over the rights for a big check. At the end of the day, the man who made the games made the movie. No one else has that. Still, we must recognize that the movie was also an ending. 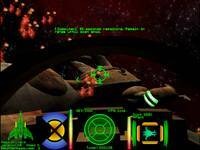 It was the last published Wing Commander project that anyone at Origin worked on. It will be the last tenth anniversary that we recognize until 2013, and that one will be for a GameBoy port. Ten years is a bittersweet recognition, in a sense. Happy birthday, Wing Commander. I think you’re great. 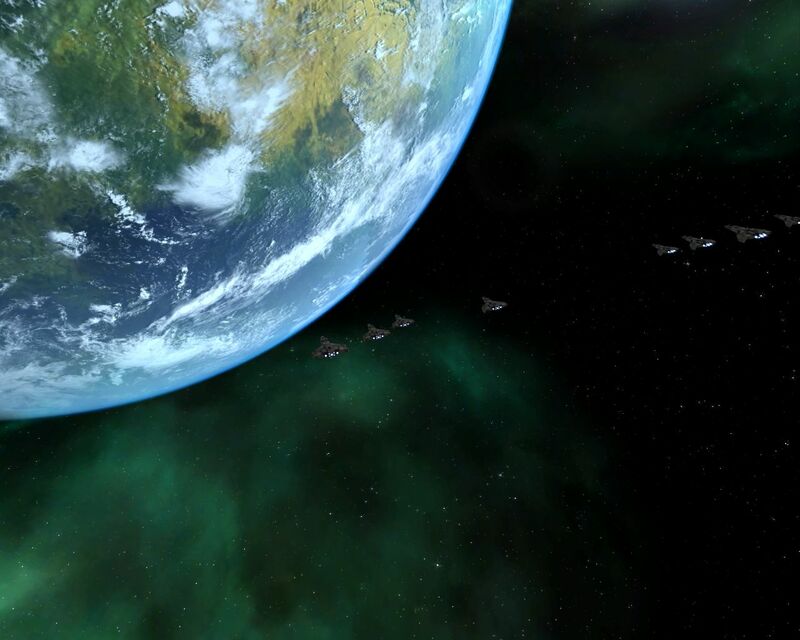 The WC Saga team has started a push to wrap up its capital ships as it makes progress towards an 'alpha' build. 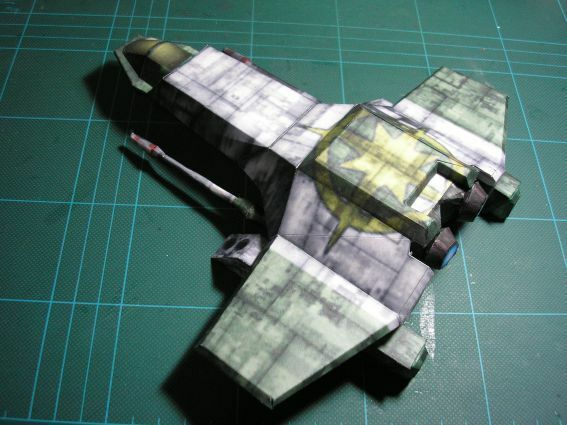 They've taken inspiration from Feng Zhu's concept art developed for unreleased Wing Commander games. 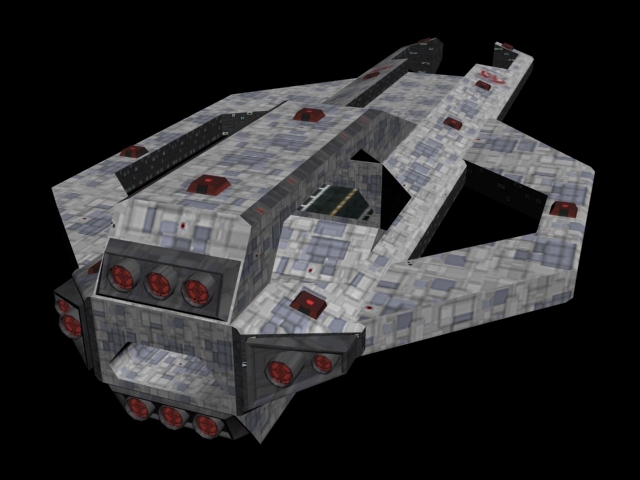 They've released shots of the Kamrani corvette featuring their most updated Kilrathi textures. It’s time to introduce our Kilrathi capital ships. 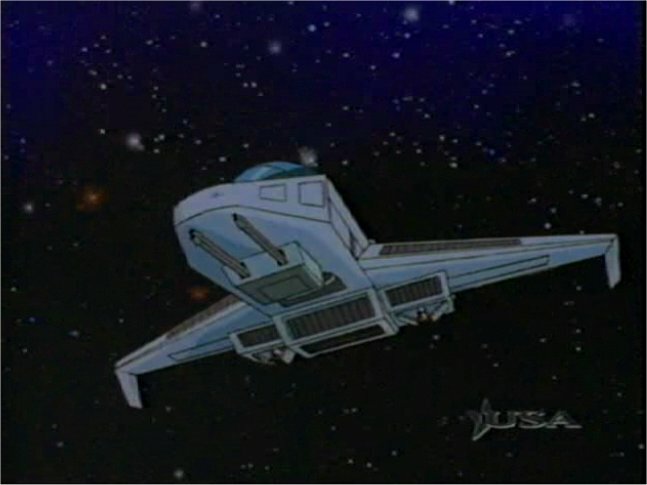 Scooby Doo from the team explains the process: "Like everything in game development, designing capital ships is always more difficult than it sounds. 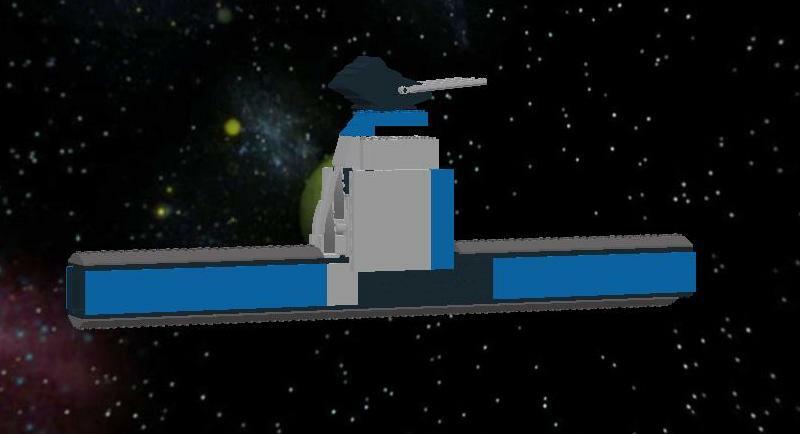 As a team, we had a long discussion regarding the overall look we wanted to create for our ships. We went through every available concept art from finished Wing Commander games and also from the art associated with the unreleased Wing Commander games. We found the artwork by Feng Zhu were particularly helpful." We started with the basics. We took a simple yellowish base metal texture, and we started evolving it from there. One of the first additions we made was dirt patches. 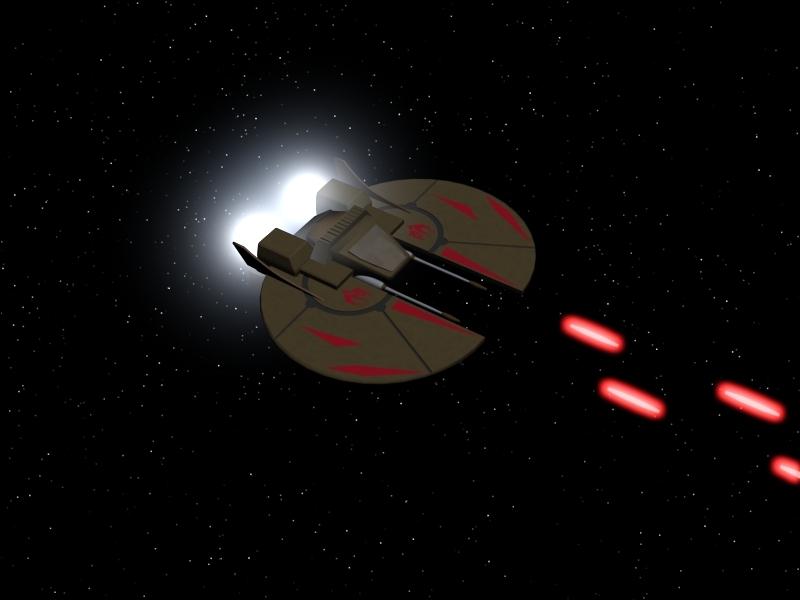 Next we began playing with armor plating. We actually have a good foundation in there now. 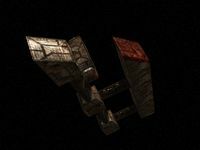 We wrote a simple Photoshop script that creates armor plates in a matter of seconds (thus saving us a lot of time). As our first demonstration of the results of our work in this area, we would like to introduce our version of the Kamrani. 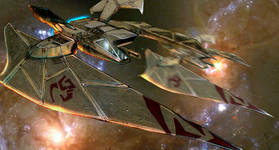 The Kilrathi’s obsession with hit-and-run strikes and wolfpack tactics is manifested in their most recent corvette model. 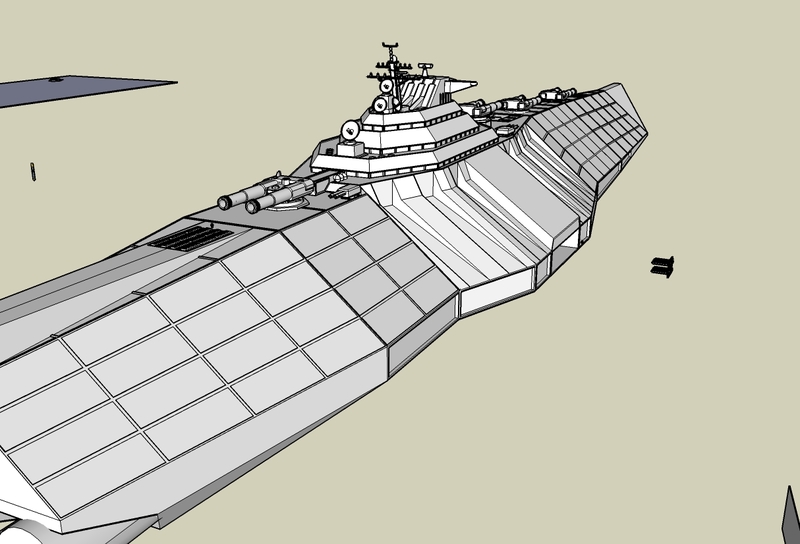 Its combination of offensive anti-ship missiles and high speed enables these corvettes to attack Confederation convoys before they have adequate time to muster a counterattack. Even though the Kamrani is lightly armored, this corvette is well protected against fighters with its multiple turret configuration. Mission B4 (both variants) is the final H'rekkah scramble/retreat mission. The description in the doc sounds pretty accurate to the finished product - although the promised unique landing scene sounds pretty great! "Insert landing ender here. Ex: Walk to decontam chute, Maniac gives you a hug for rescuing his ejected pilot, etc." Péricles has released the paper Venture class corvette that he previewed back in January. 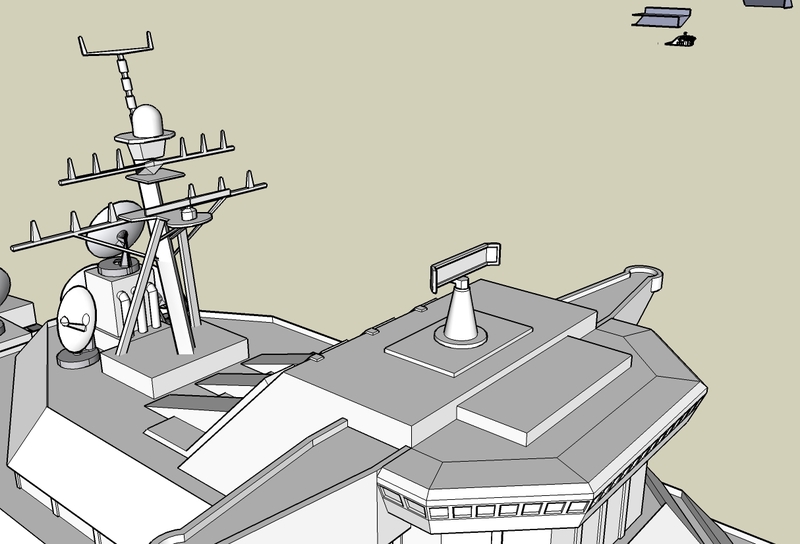 The package (5.4 meg zip) includes both 1/100 scale and "mini" versions of the ship in PDF, plus the original Pepakura file. It is based off the color scheme/model used in Standoff and looks great. Have fun building this one! If you win H'rekkah 2 then you go to B3a... if you lose, then you're stuck with B3b. What's the difference? Slightly more Morays! The most important thing I took away from these notes is a scene where Rachel actually acknowledges her history with Blair. Wasn't it odd how they seemed like complete strangers in the finished game? 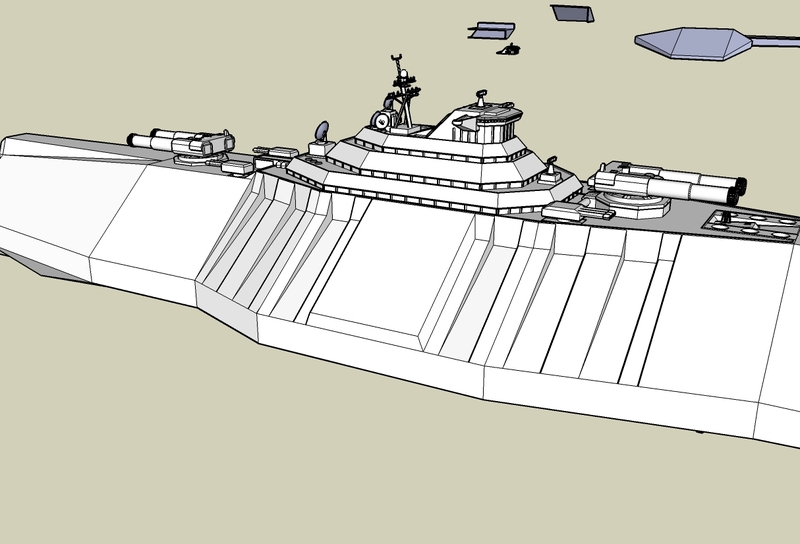 Here are some updates to callitri's Concordia supercruiser. Quite a bit more equipment is present on the upper structure. 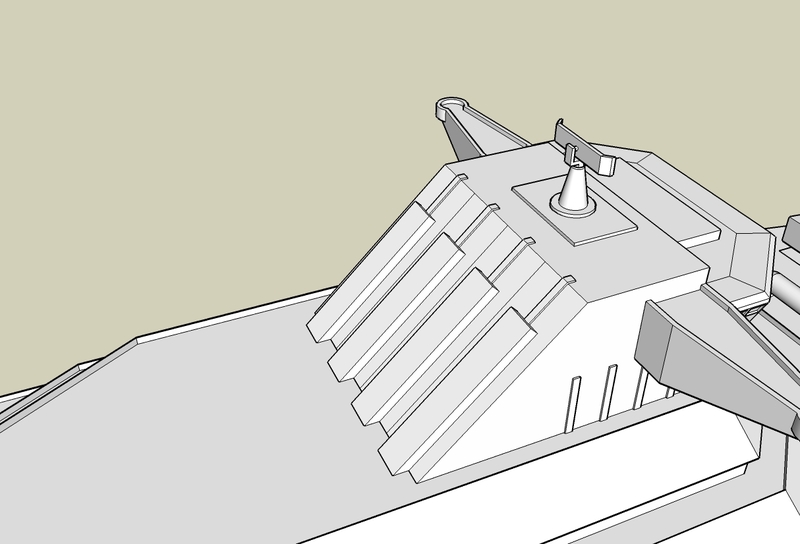 The hull shape has been adjusted to allow for better positioning of the main turrets. His next focus is on areas where there is less detail to go on. You can help provide feedback at Crius.net. 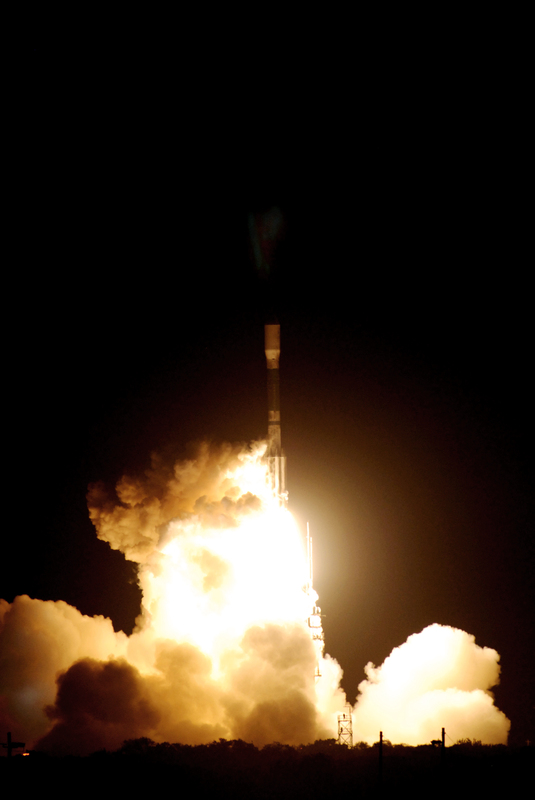 The Kepler mission to seek out Earth-size planets successfully launched over the weekend. 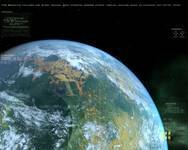 Between now and 2013, the orbiting telescope is designed to detect rocky worlds in orbit around stars like the Sun. 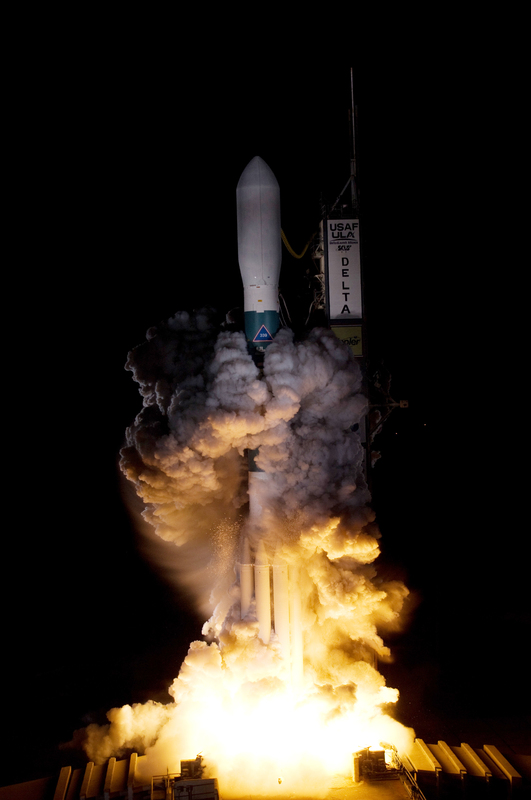 Here are some impressive photos from the launchpad. Yes, we do have some progress this week :-P.
Quarto has been working away on his mission, and reports that it's close to finished. Still a bit of work left, but it's getting there. And he's given me some screenshots to prove it! 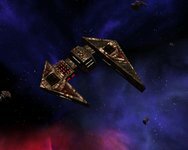 We've added three new screenshots, showing quite a lot of civilian ships getting ready to be slaughtered by the Kilrathi :-). Once this mission is done, we'll only have one mission left on the winning path (and two more on the losing path, besides the ones Pierre is currently working on). Of course, there's still a fair amount of balancing needed, but there's steady progress being made on that front, too. B2 is Hrekkah 2, the Black Widow rescue mission. Here's one interesting cut noted in the mission: "If the player chose to modify his fighter after B1 he will be flying in a modified fighter.. no cloak.. increased gun and sheild power." JasonRocZ has released shots of another new fighter for the Wing Commander Collateral Damage mod. 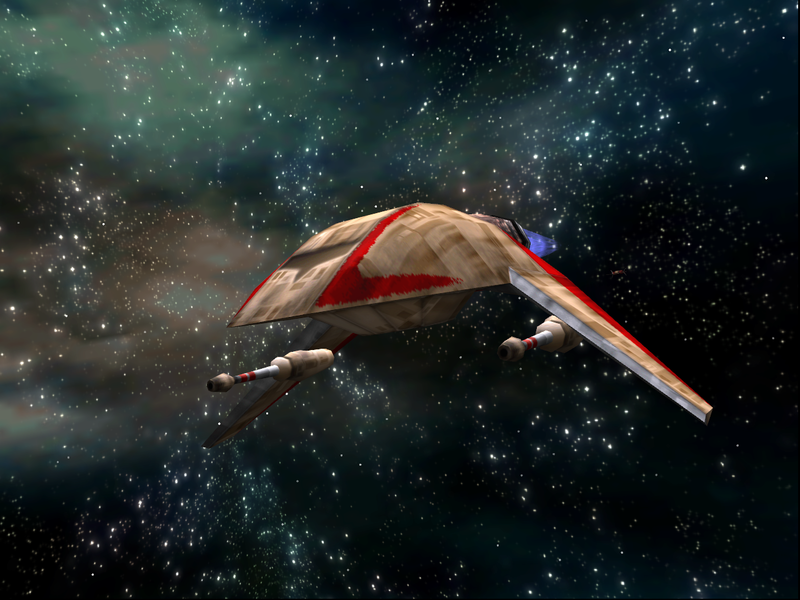 This time we get to see the Longbow bomber, which was recommissioned at some point between Secret Ops and Wing Commander Arena. 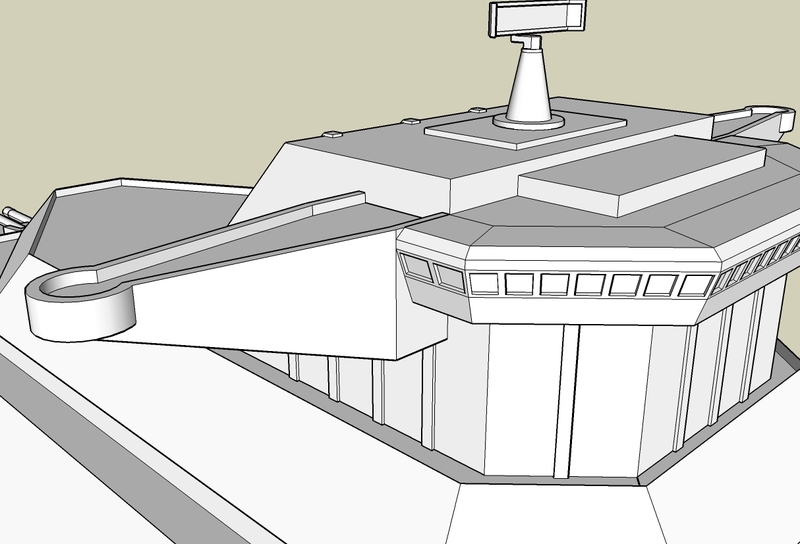 The turret art in the rear is just a placeholder for now. It will be better integrated and rearmed soon. Not totally finished but here are a few samples. Loadout is to be similar to WC4/WC3 specs with a few differences in missile loadout. Here's the first "real" mission from the game. 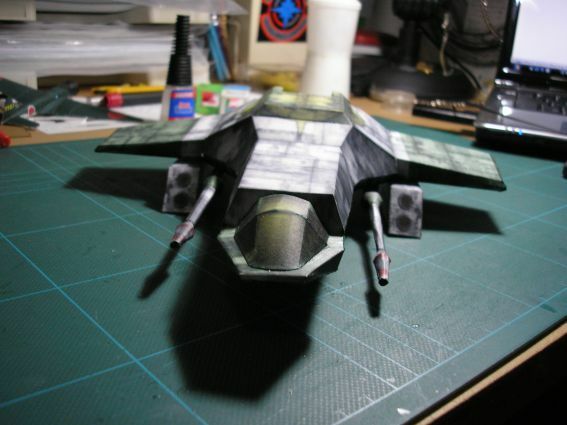 "B1" is H'rekkah 1, the Kilrathi distress call mission. Note that this document uses the later correct names - Casey instead of Dane, Stiletto instead of Nemesis and so on. 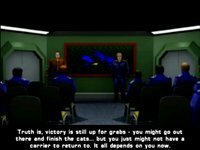 You can also see the cut 'cloak' dialogue, which would have originally explained why cloaking devices don't appear in Wing Commander Prophecy. 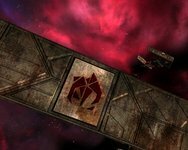 WC Saga's Tolwyn recently updated the official website with a status report and some screenshots of their space backgrounds. It sounds like there's a lot going on. 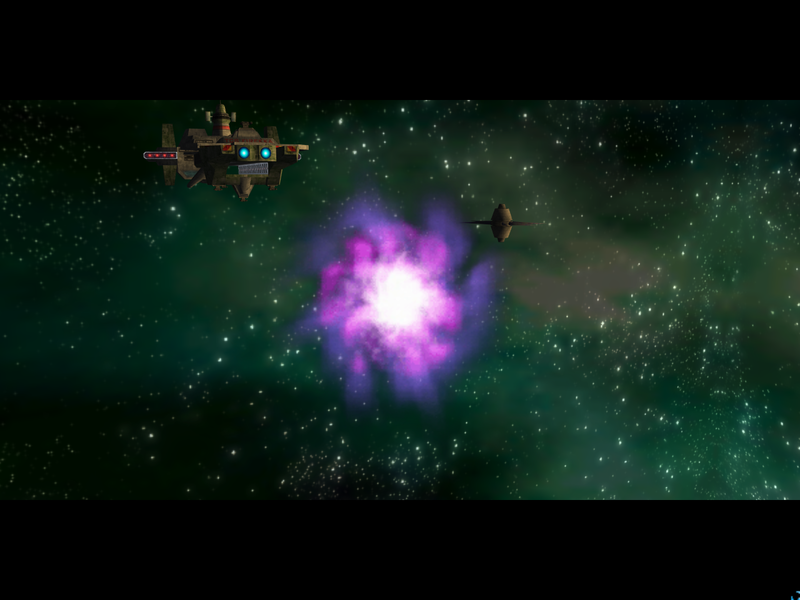 The (playable) prologue chapter is already available for Windows, Mac and Linux. This is the final cut 'A series' mission; it's worth noting that these were removed from the game concept very early on - there's no stray code floating around anywhere. Never the less, it would be interesting to see what some of the capable fan projects might be able to make out of the specifications put forth in these documents. 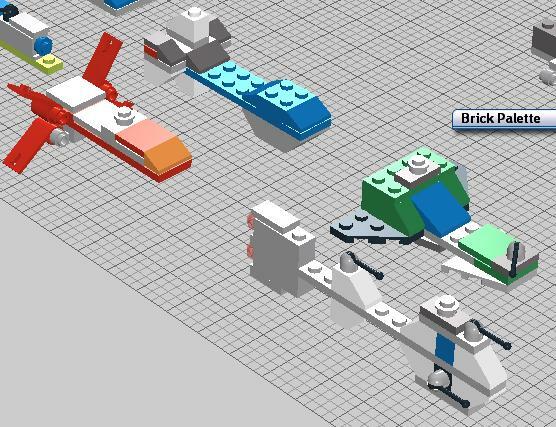 We've seen a number of Lego designs in the news lately, and a common theme has been their "mini" design based on creating the most recognizable shape with the fewest number of bricks. Iceblade is now working on something a little more elaborate. 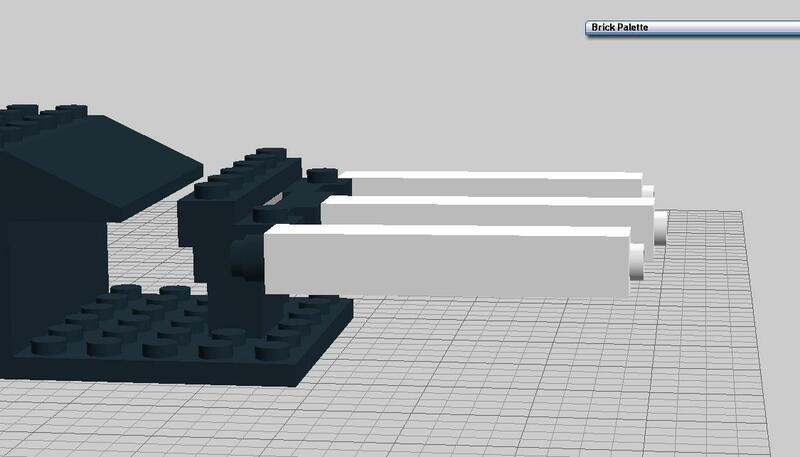 He's building a Plunket class heavy artillery cruiser in Lego Digital Designer. One of the main triple heavy particle cannon turrets is complete and merged with a central body structure. 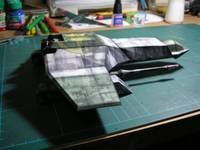 He is still working on the forward and aft sections and additional weaponry. You can help provide feedback over at Crius.net. 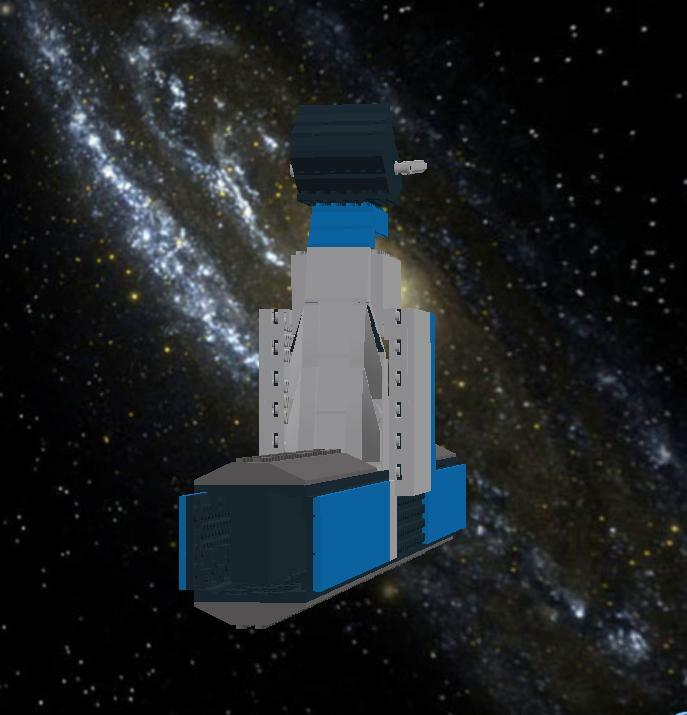 "Well, I spent some time on it and now I have the middle bar finished (barring some color changes) and part of the top of the center tower done... complete with BAT (big a$$ turret)." 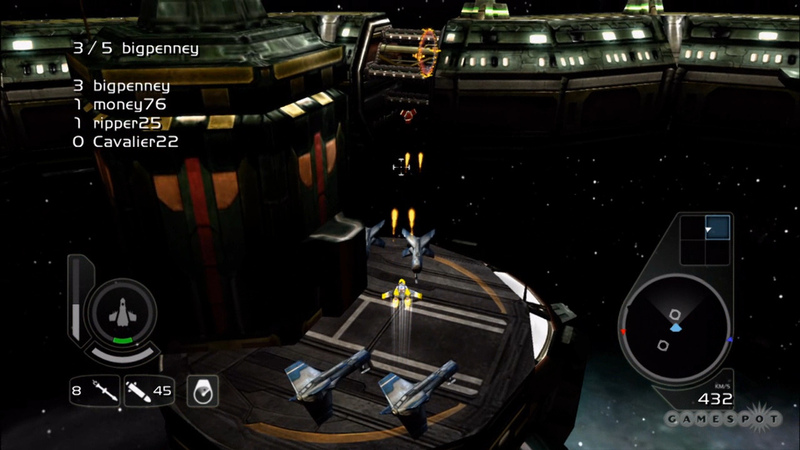 Here is the third cut training mission, which puts the player up against heavy fighters for the first time. 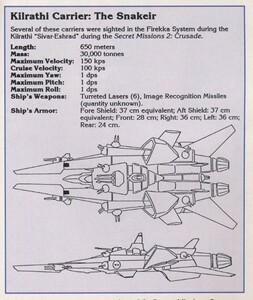 One thing to note is that these aren't especially well planned in terms of art objects: each "A" mission adds a different Kilrathi fighter to act as a proxy for the Nephilim ships faced later in the game (here heavy Vaktoth)... but each one would have necessitated another 3D ship be developed for the game. The good news is, the "shame effect" seems to be starting to work - if you complain enough to the team about having nothing to post, it seems they get the point eventually :-). Quarto reports he's finally ("really, about damn time", he says, and I tend to agree :-P ) gotten back to work on the mission he was doing. Does that mean he'll have something to show us next week? Guess we'll see next friday. Meanwhile, Pierre is also slowly moving forward with his current mission. In other news, there's been a fair amount of activity in our bugtracking utility this week - a few bugs fixed, a few new ones appearing. So, this is a good time to remind you guys - if, while playing the previous four episodes of Standoff, you have run into anything odd, please report it to us at the forum, and we'll fix it for the Episode 5 release. Today we see the second cut 'A series' training mission. Here the game puts Casey in a real fighter for the first time... fighting drone Kilrathi Drakhri, of all things! 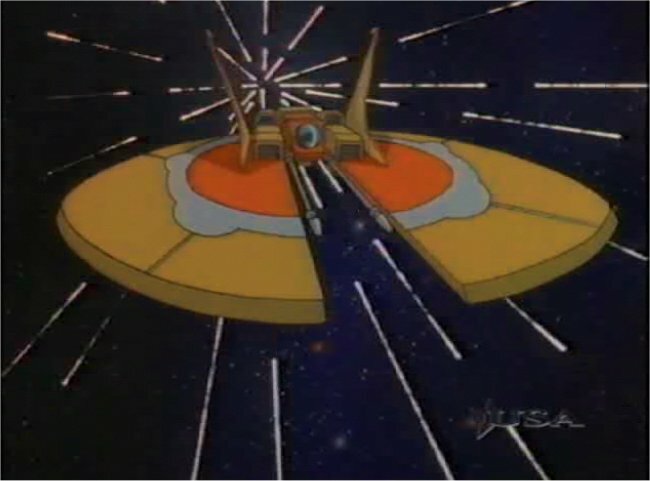 This mission would have introduced the Wasp, although it doesn't seem especially suited to the Wasp's special ability. 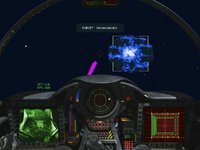 Mash has answered the calls of many Kilrathi Saga owners and developed an impressive patch for the Windows version of Wing Commander 3. The fix resolves a common movie crashing bug and incorporates a speed limiter to correct the display of the nav map and preflight screens. It's designed for Windows 2000 and later, which is particularly noteworthy due to its success with improving the performance in Windows XP & Vista (even the 64 bit version). The patch and a very thorough instruction file are available here. You can help provide feedback or get technical support over at Crius.net. No Game files are modified to install this patch. When the "Wc3w.exe" is run, it first loads the various dll's it will need (one of these being the "ddraw.dll"). It first searches the Game folder for the "ddraw.dll" and if not found it then searches the Windows System Directory where the "ddraw.dll" is actually located. 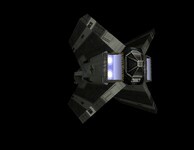 By naming the patch "ddraw.dll" and placing it in the Game folder, Wing Commander III can be tricked into loading it instead. Last month we reported that Haliwali was creating a fleet of miniature Wing Commander ships using the Lego Digital Designer. What's special about these is how closely they resemble the real thing while using very few bricks. 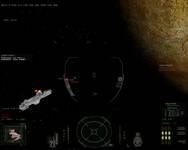 The latest screenshots feature a wide range of carriers, cruisers, transports and destroyers. Can you name them all? 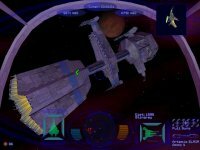 Here's a brief guide to using MED, the Wing Commander Prophecy mission editor -- complete with screenshots of what Windows looked like twelve years ago. Fan project developers will have to chime in as to whether or not this is of any use today... but MED is now available for download in its original form. Here's another set of Concordia supercruiser renders courtesy of callitri. 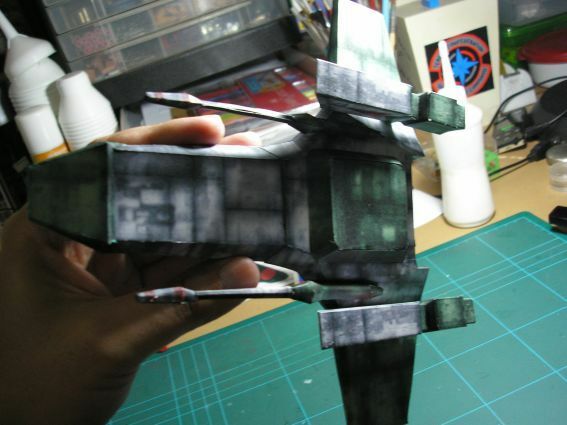 In these shots the ribs along the side of the main hull are now visible and surround what might turn into the hangar bay. 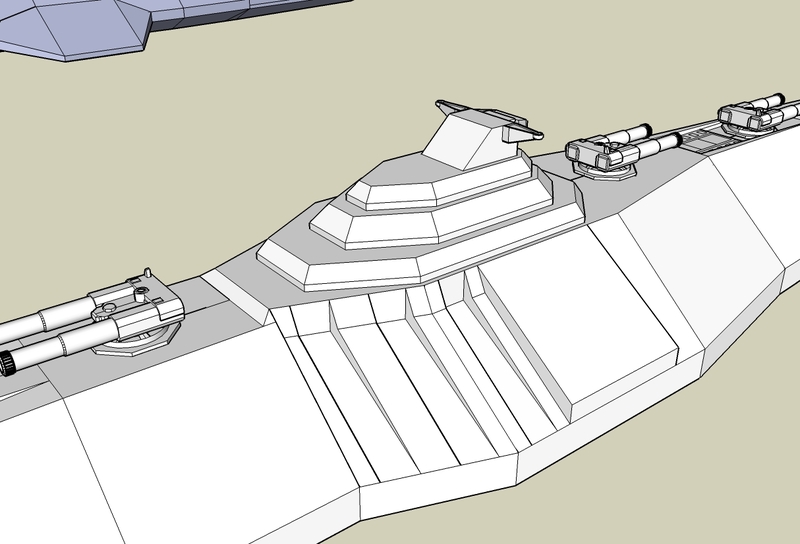 "Fins" that were more pronounced earlier (and gave the ship a Devastator feel) have been slimmed to better represent the shape. 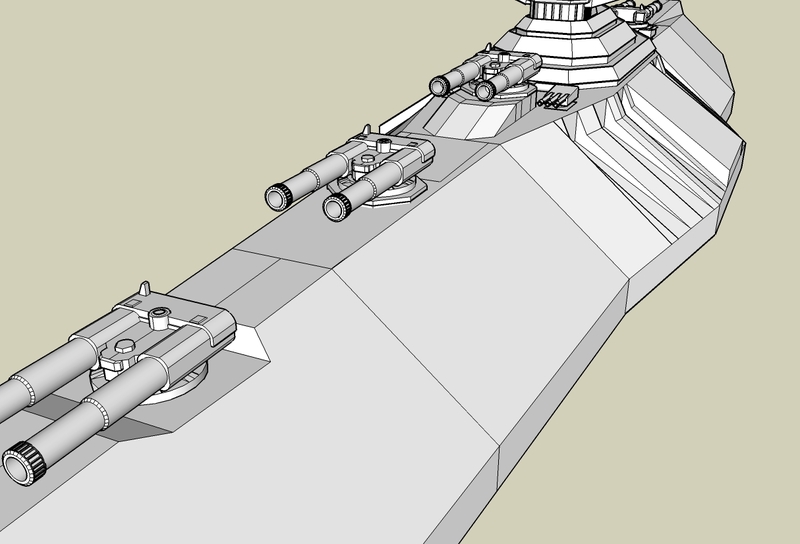 The cruiser is much more heavily armed now with the addition of a third main turret and several secondary batteries positioned on top. 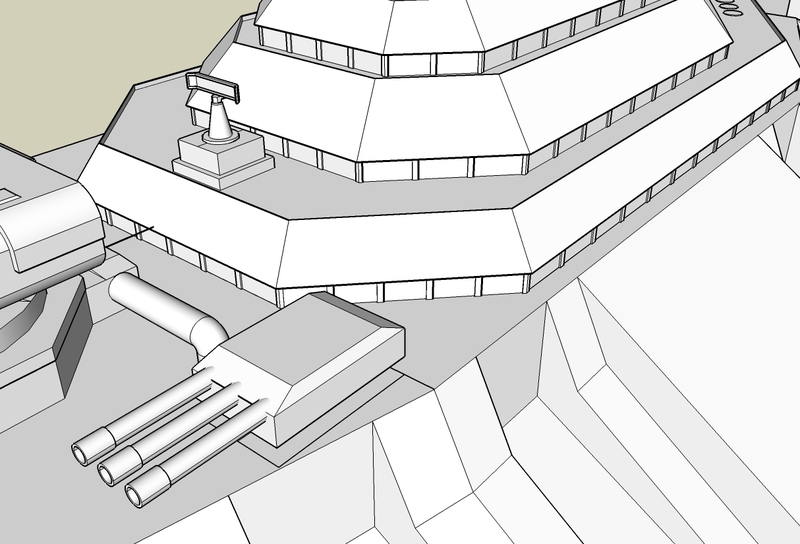 The conning tower and bridge are also more detailed and more closely resemble the shape of the original. Today's document is an interesting brief on mission creation and Prophecy's design process in general. 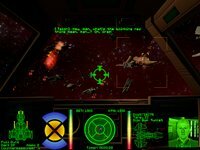 In summary: "In the beginning of Wing Commander Prophecy, the designers sat down and had a brainstorm as to what types of missions they’d like to play, and then wrote them down. Afterwards, they were placed in acsending order, with the easiest first, hardest last. Then the story was wrapped around them, and a war was created." Even more interesting to me, though, is the more negative aspect - the suggestion that there are things the team won't be able to finish in time.